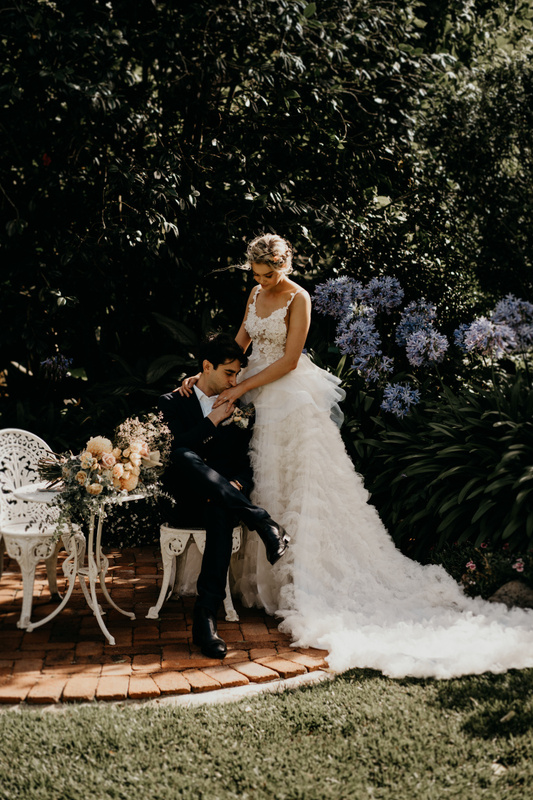 Inspired by stories, style and romance. 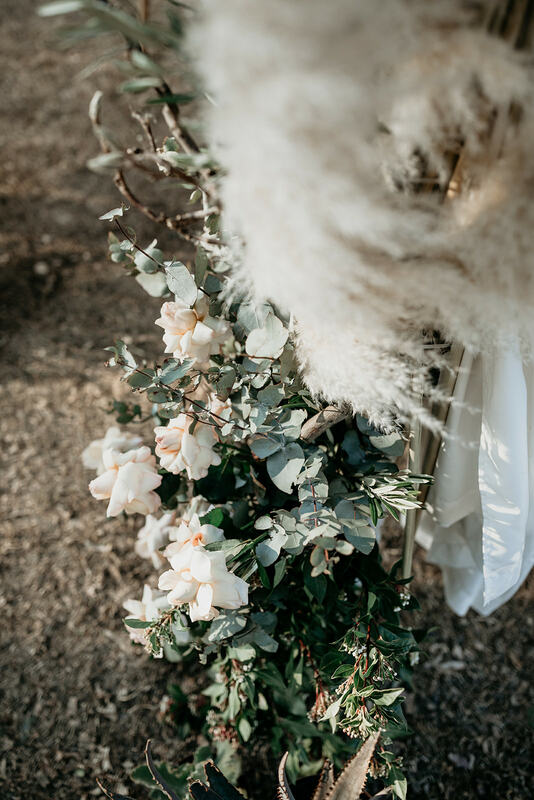 Where casual styling offsets a pretty palette of pastels. 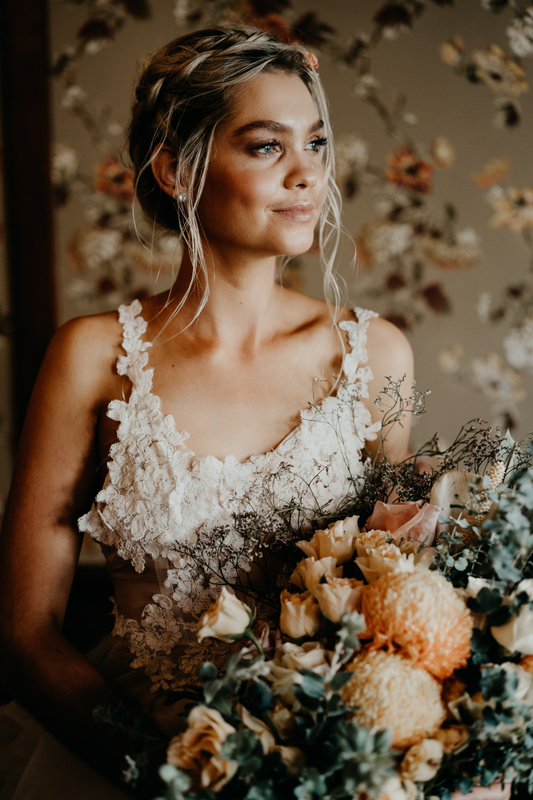 Relaxed abundance of floral installations, a vintage inspired gown and softly upswept hair. 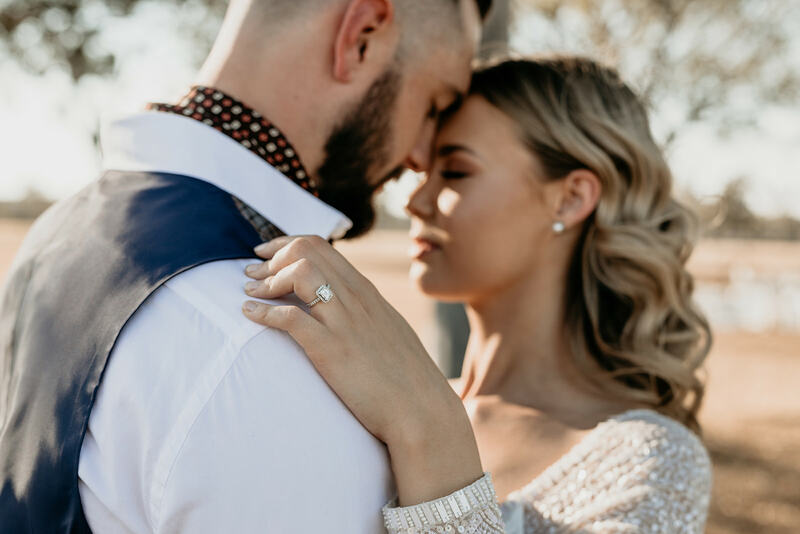 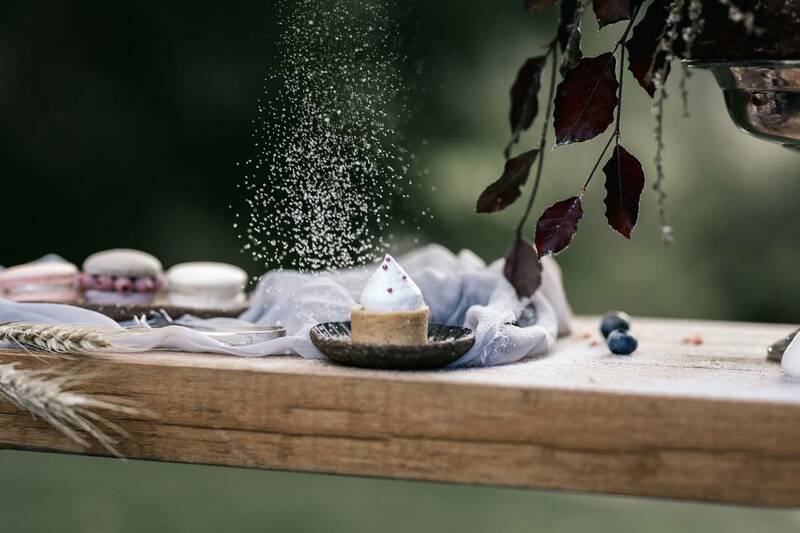 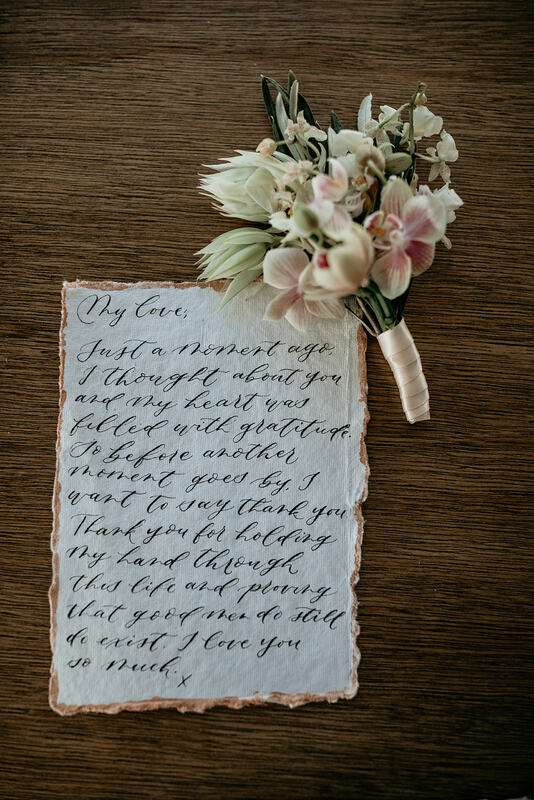 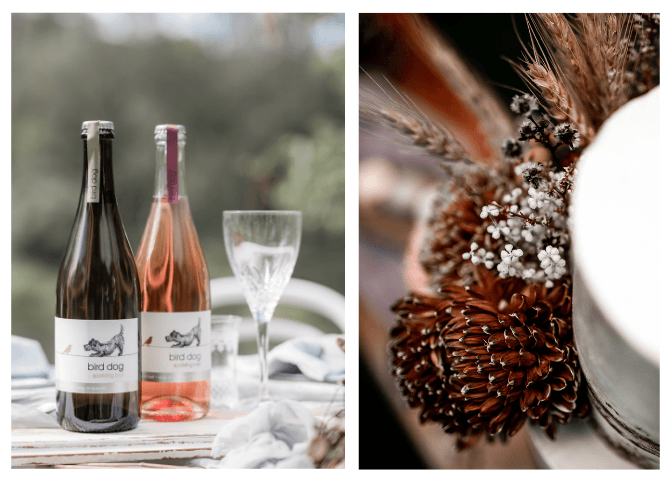 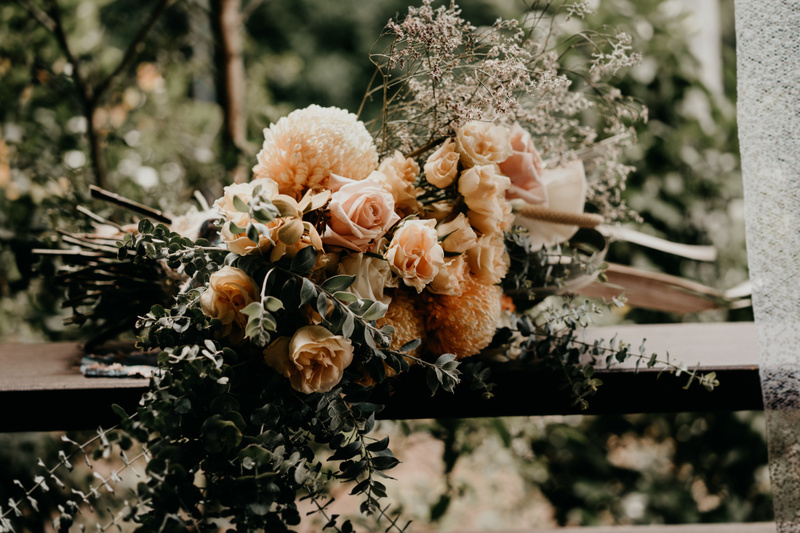 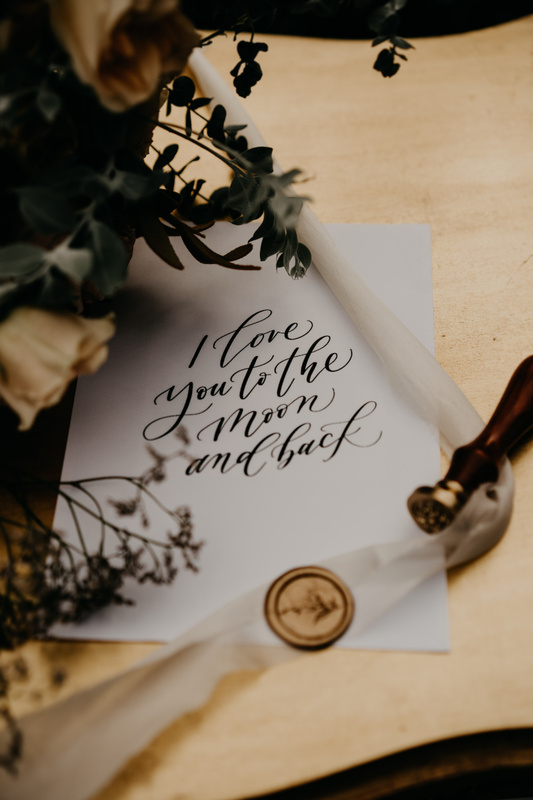 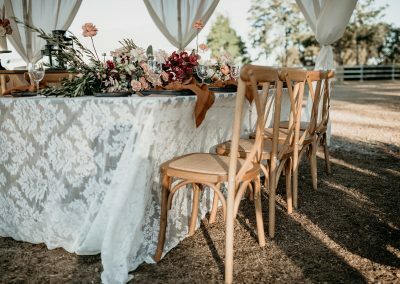 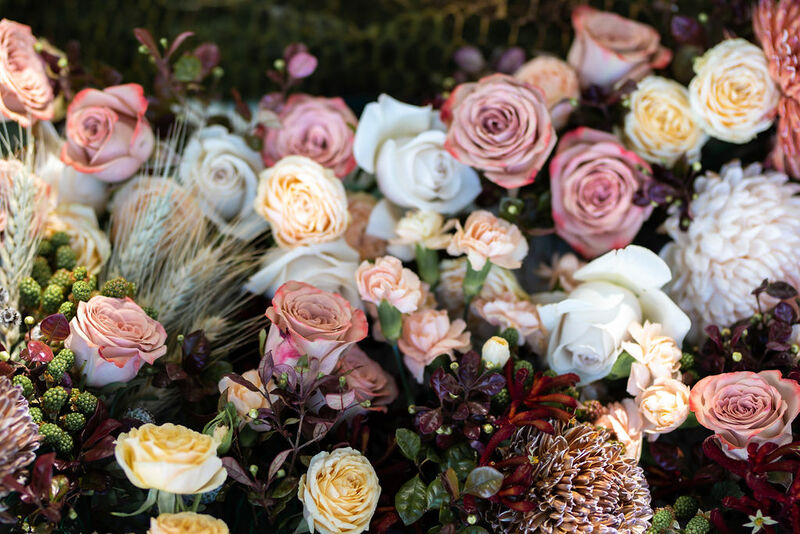 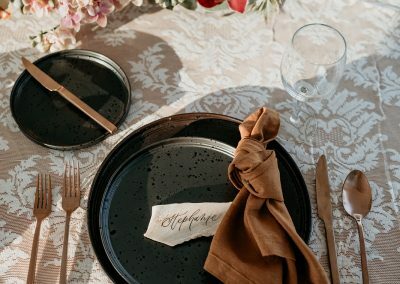 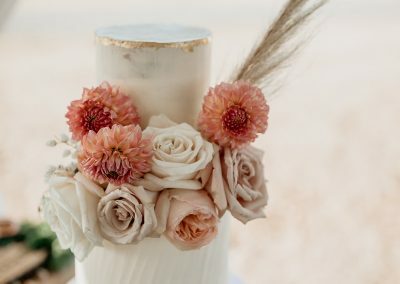 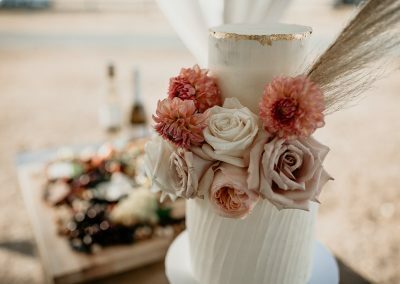 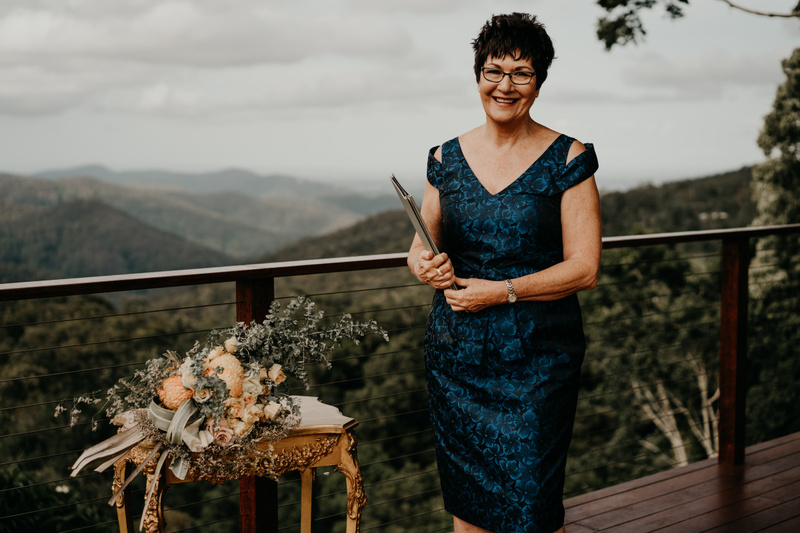 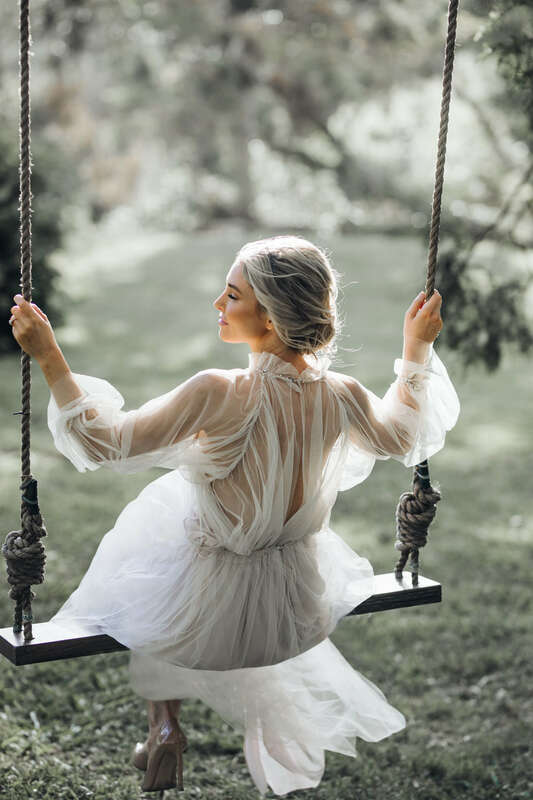 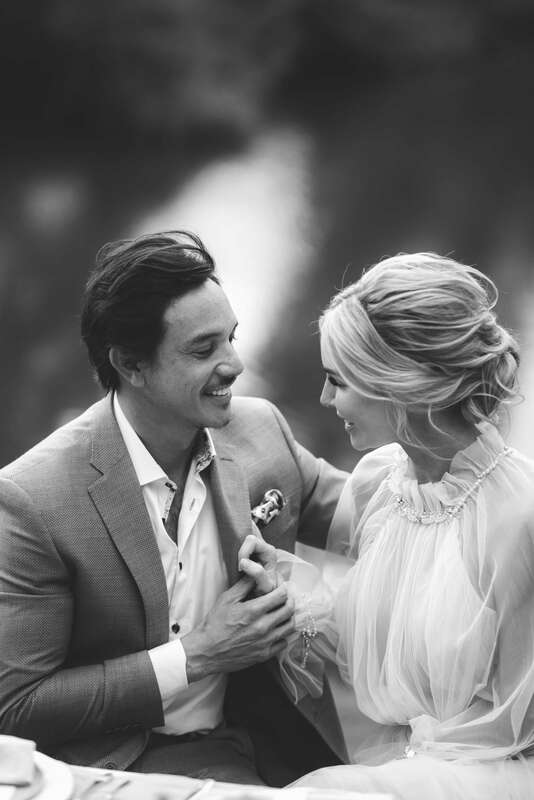 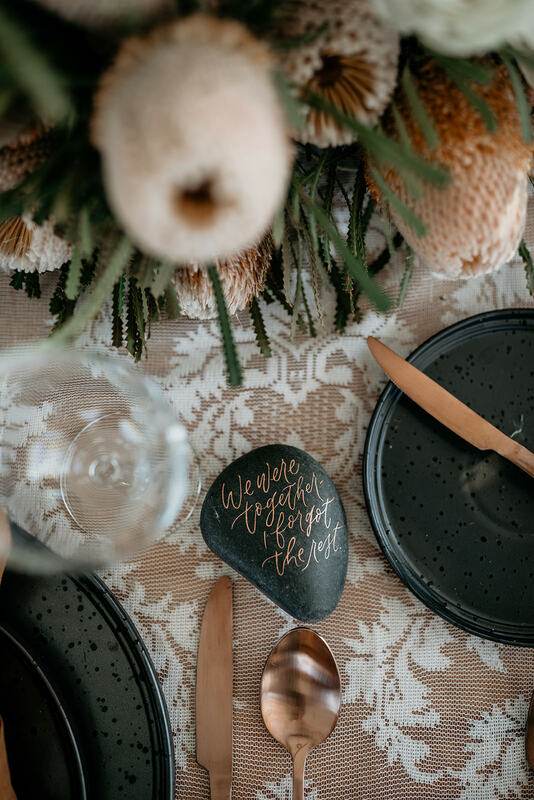 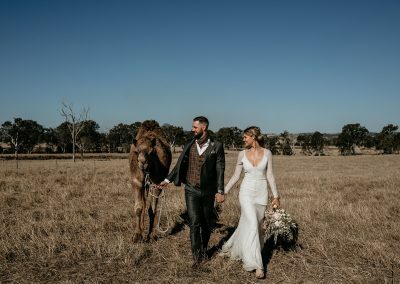 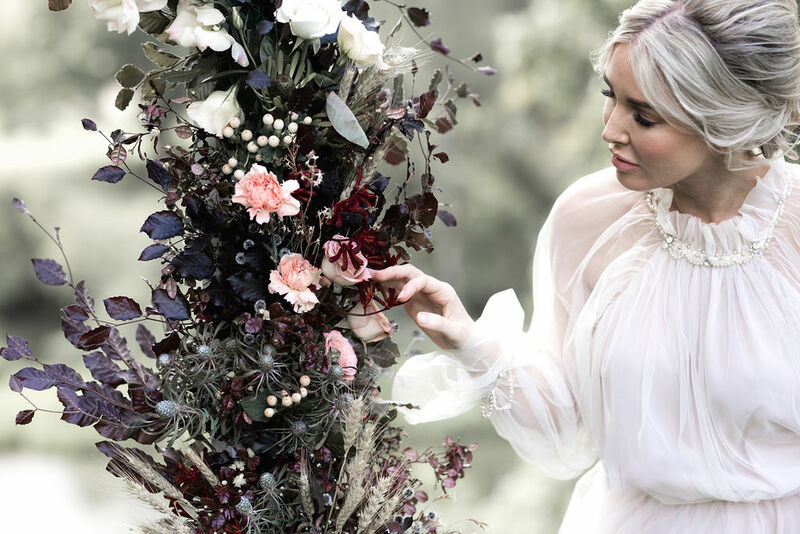 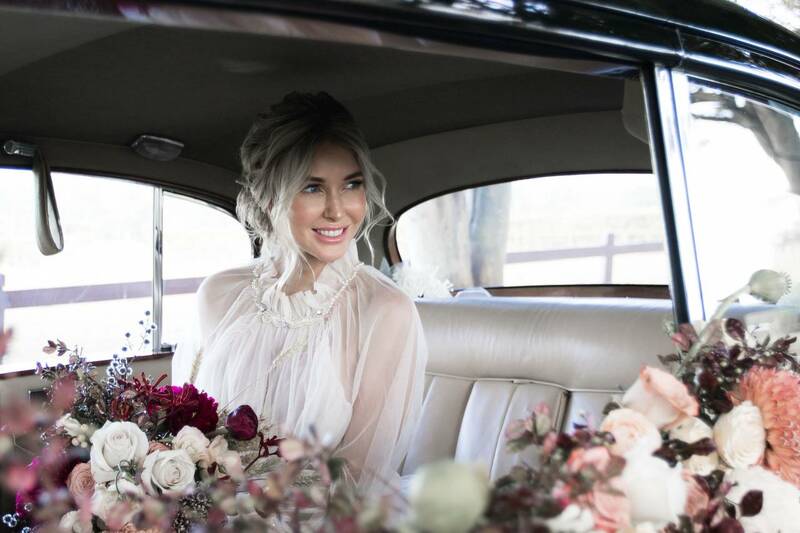 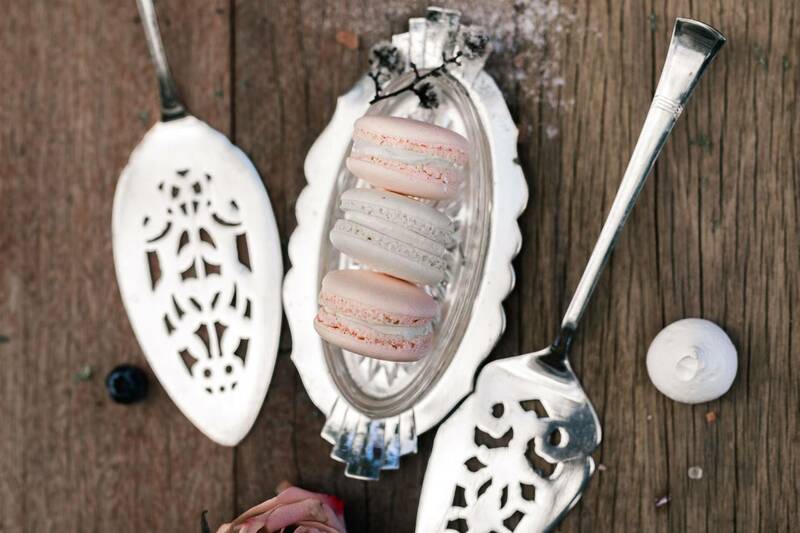 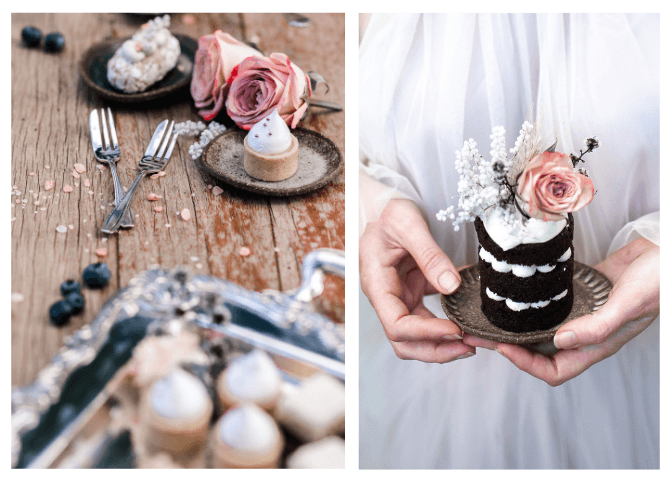 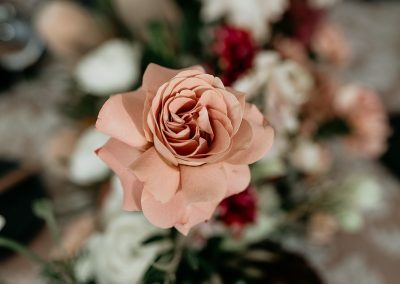 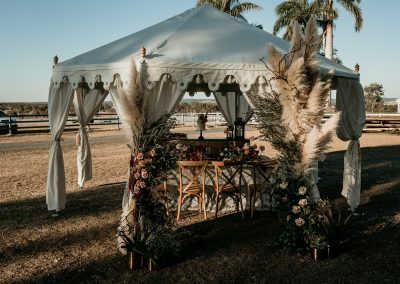 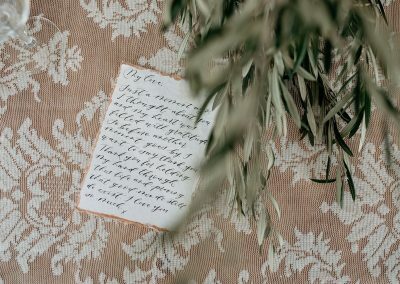 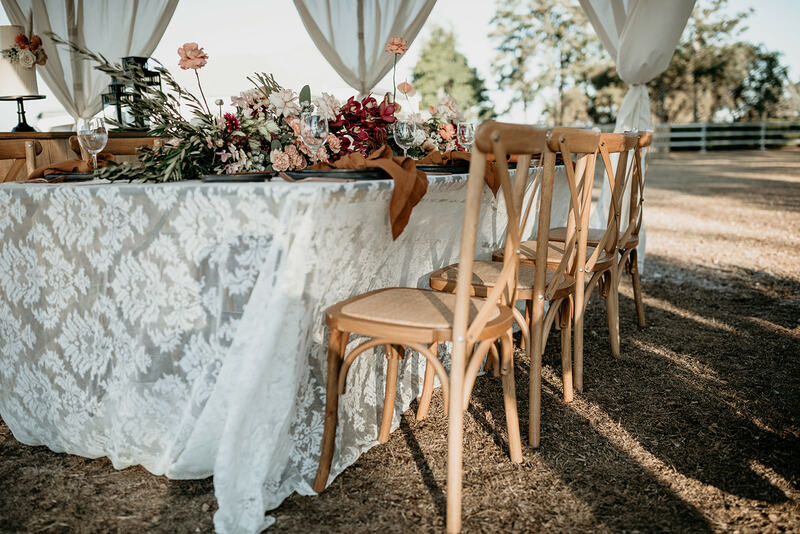 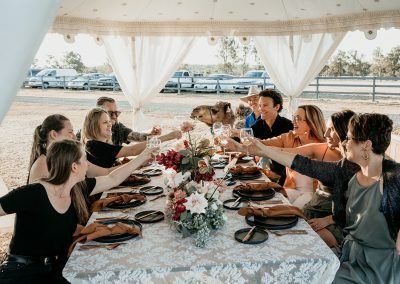 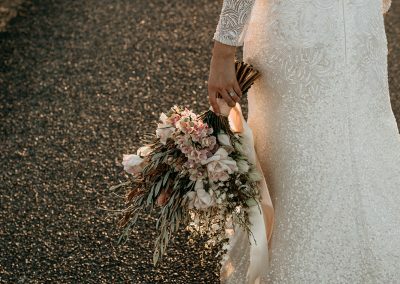 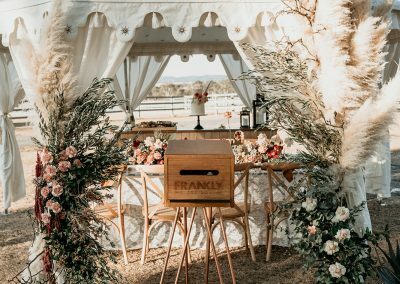 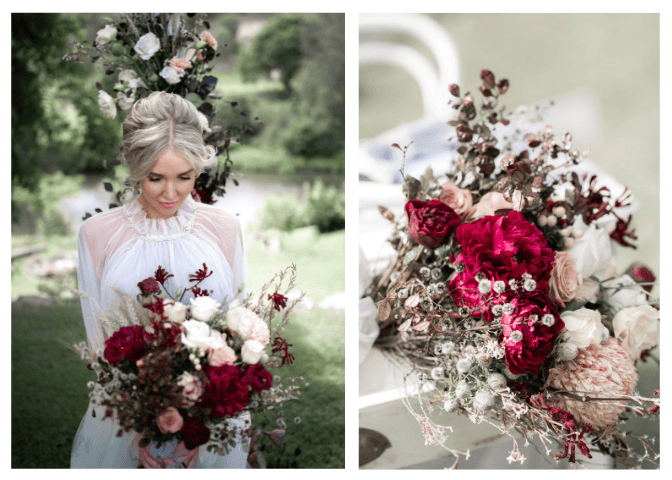 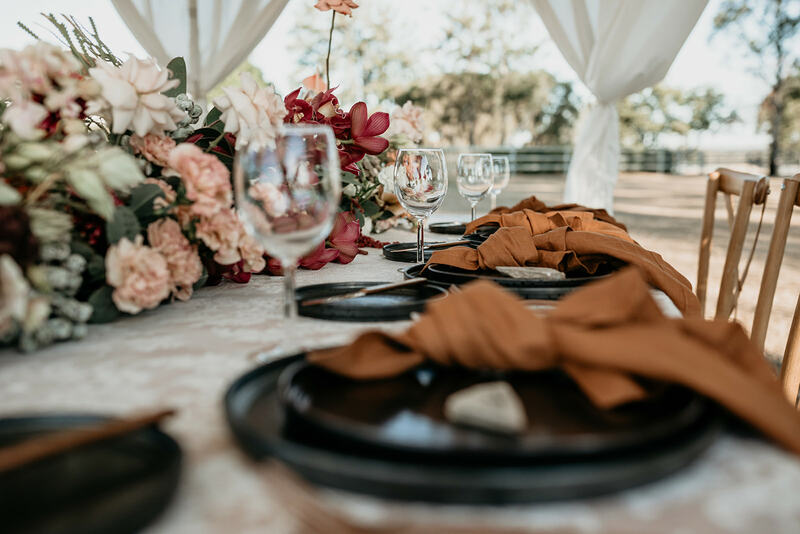 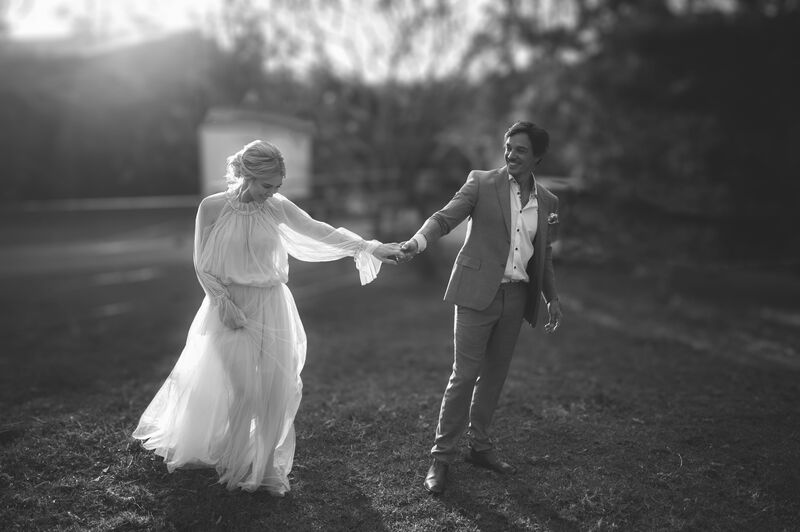 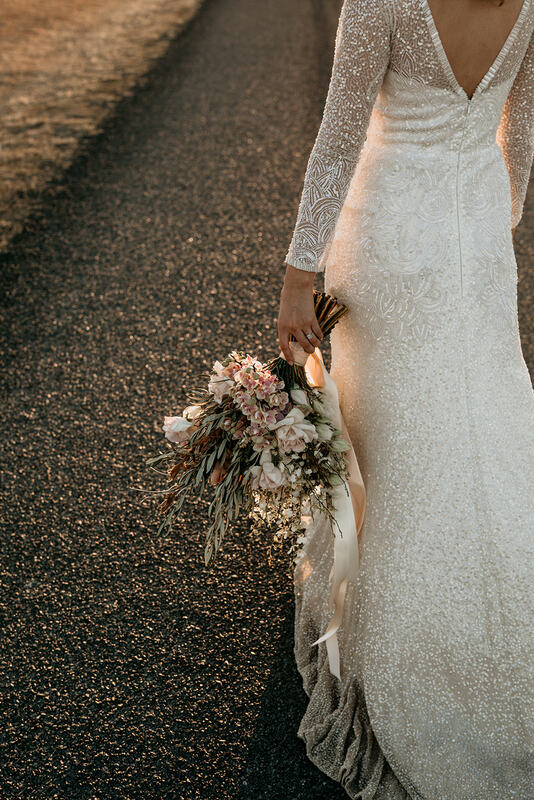 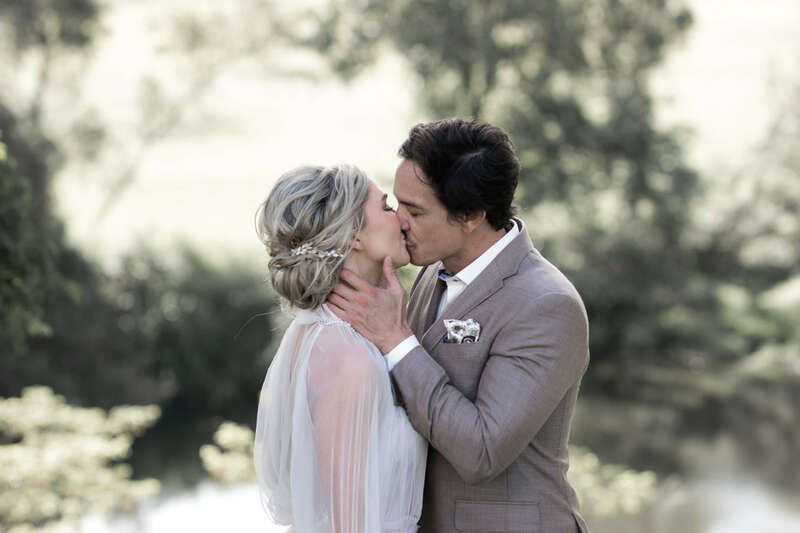 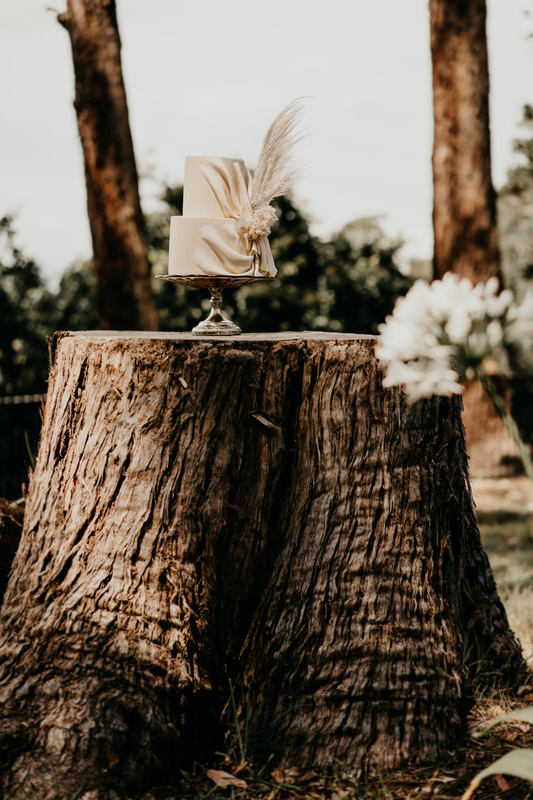 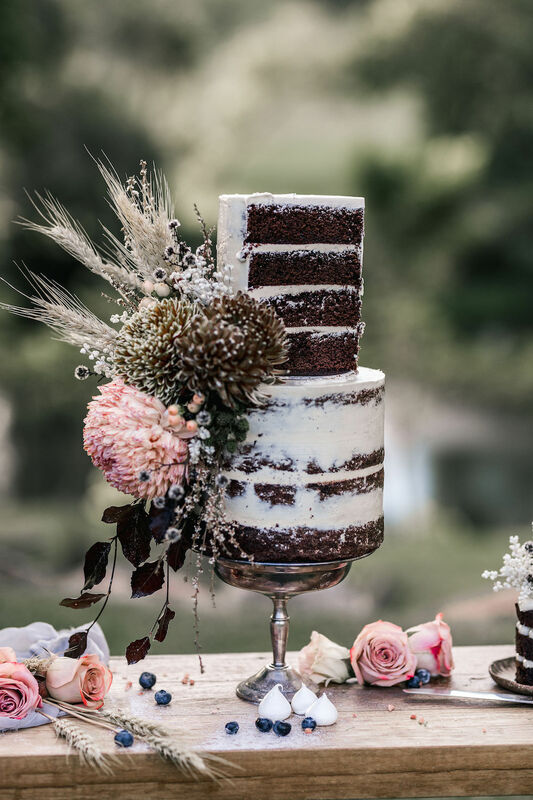 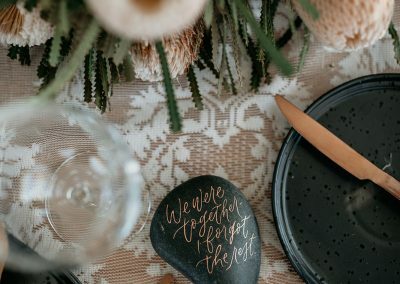 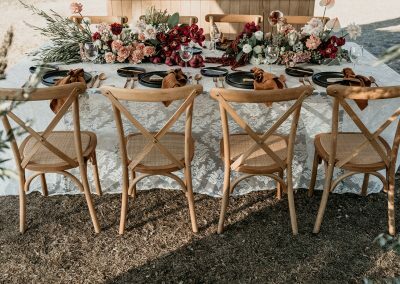 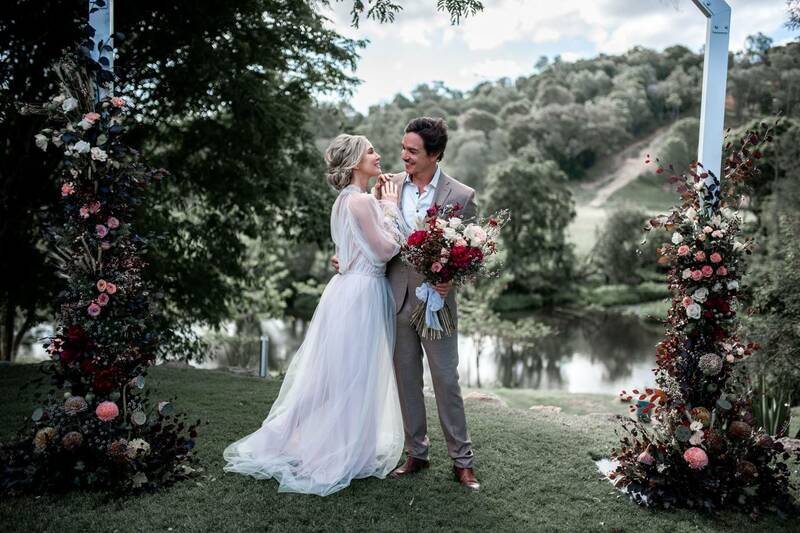 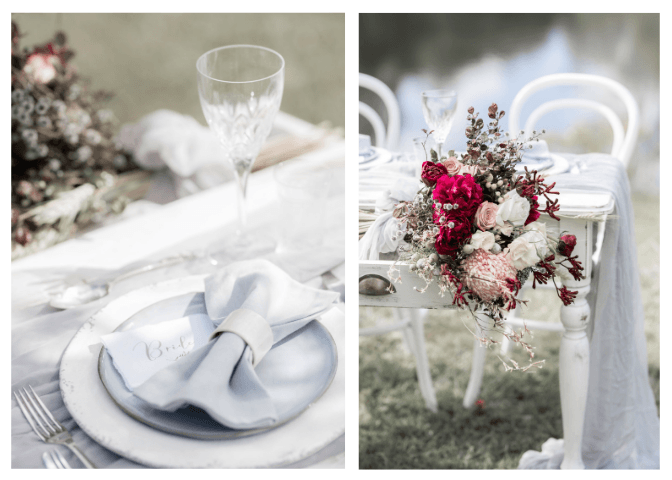 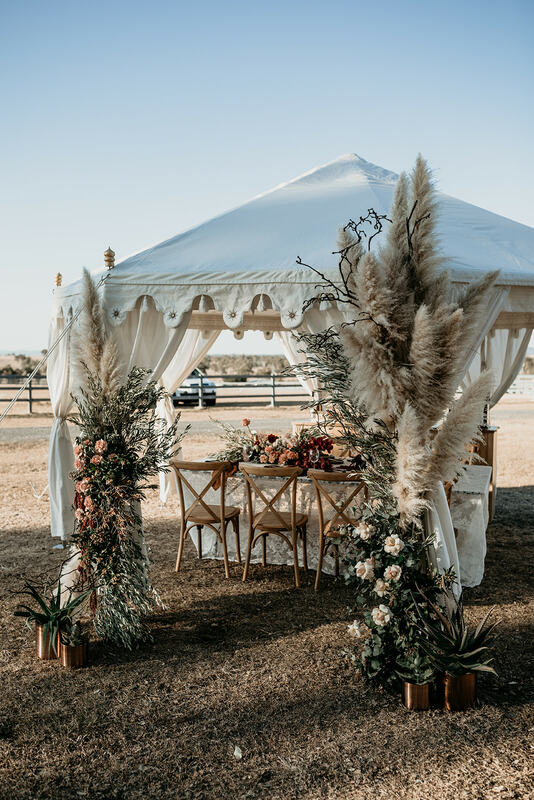 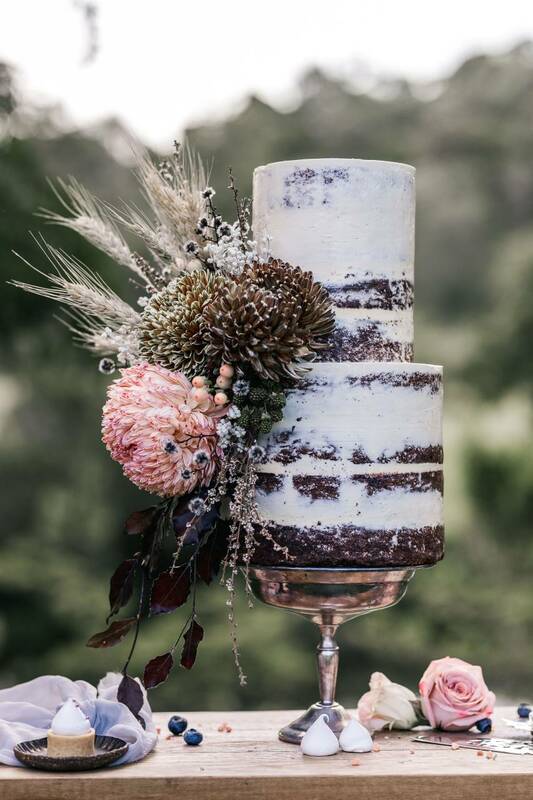 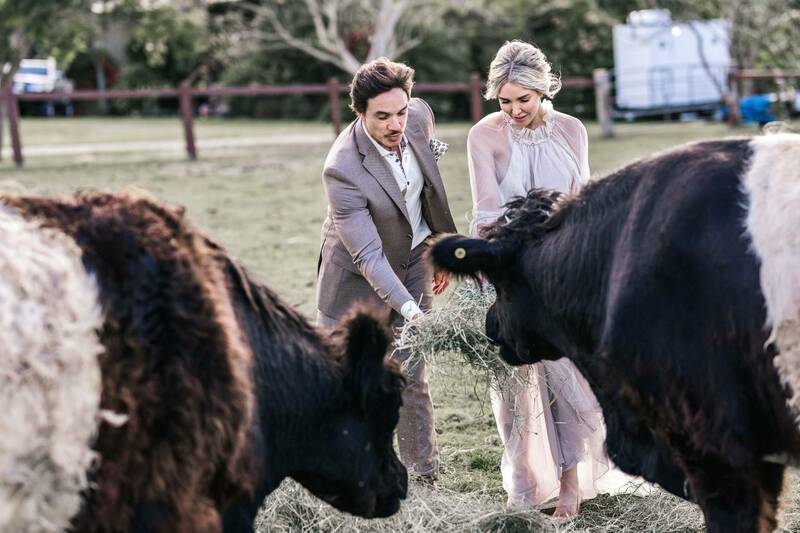 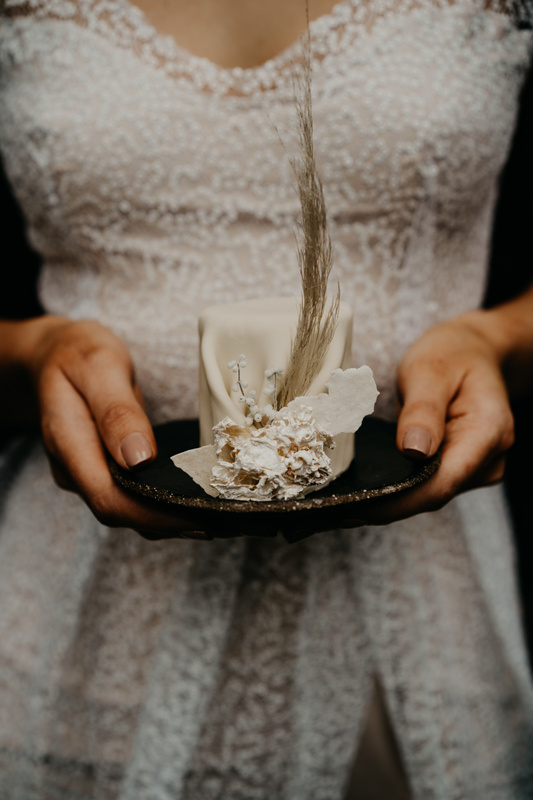 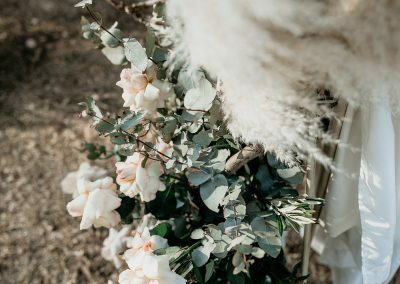 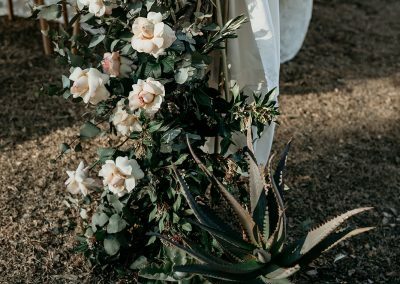 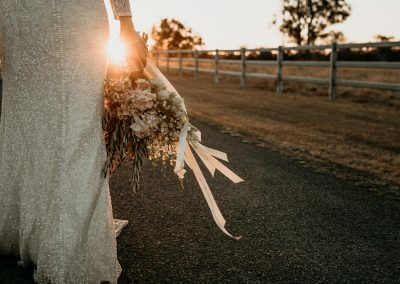 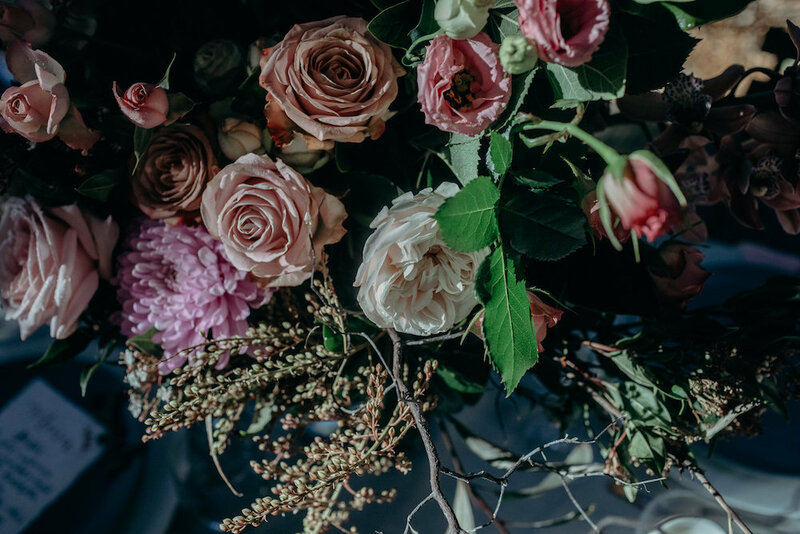 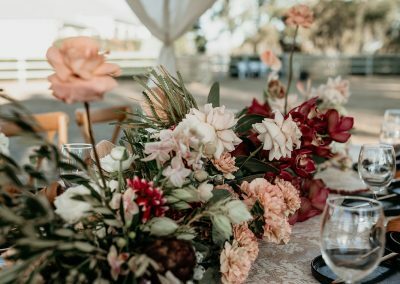 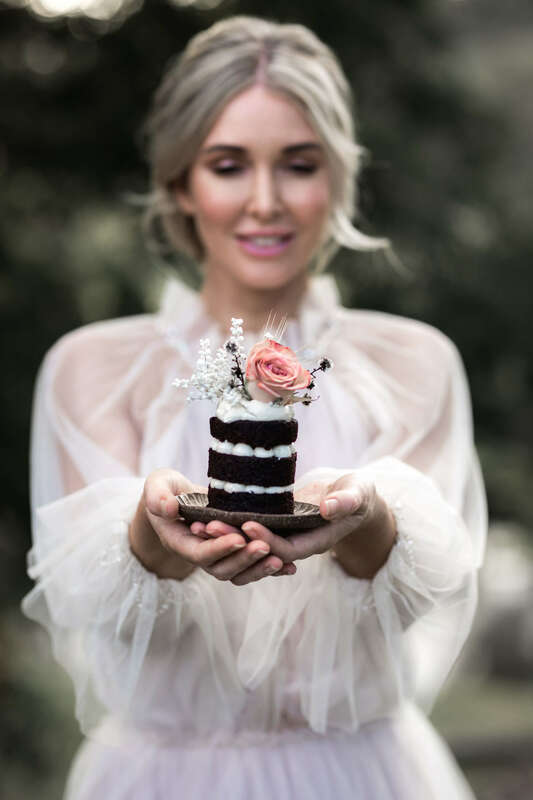 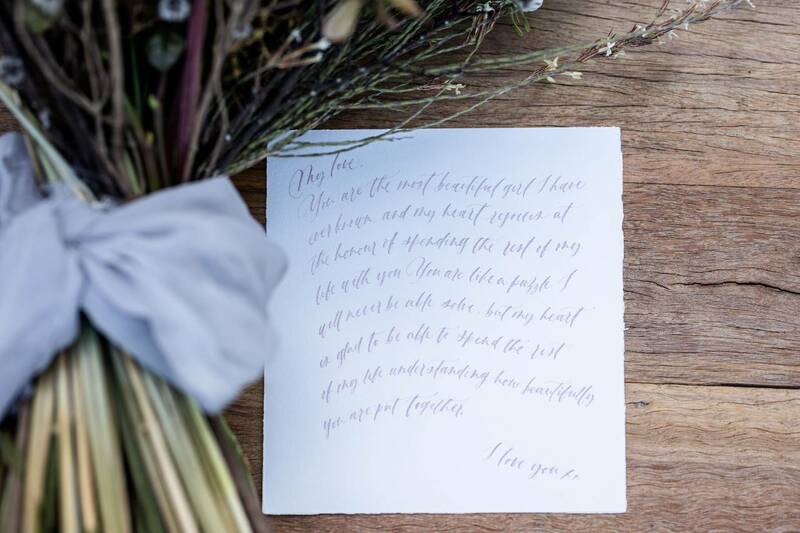 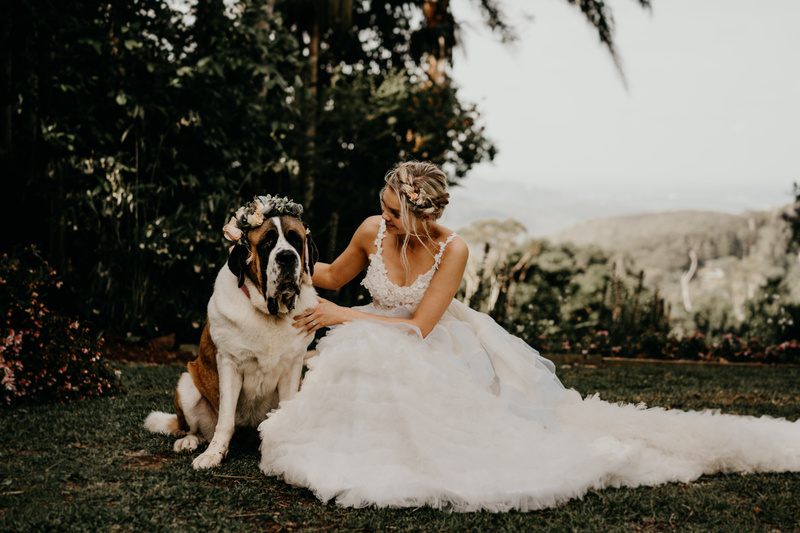 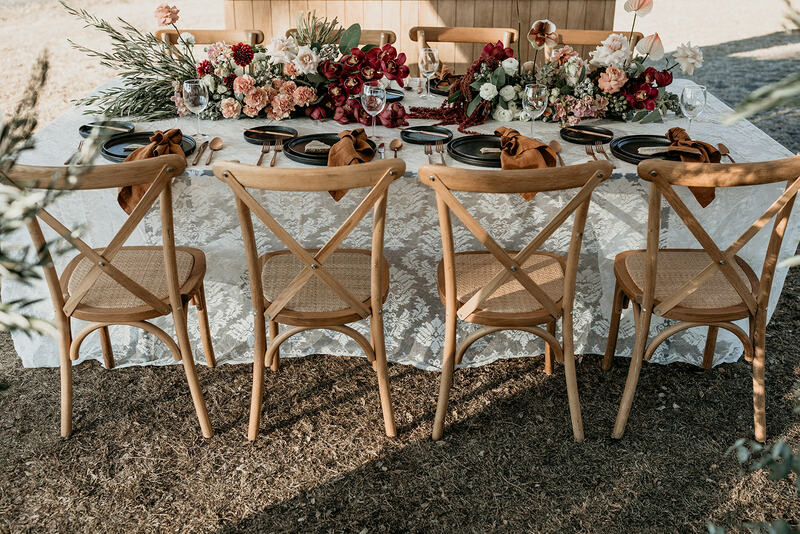 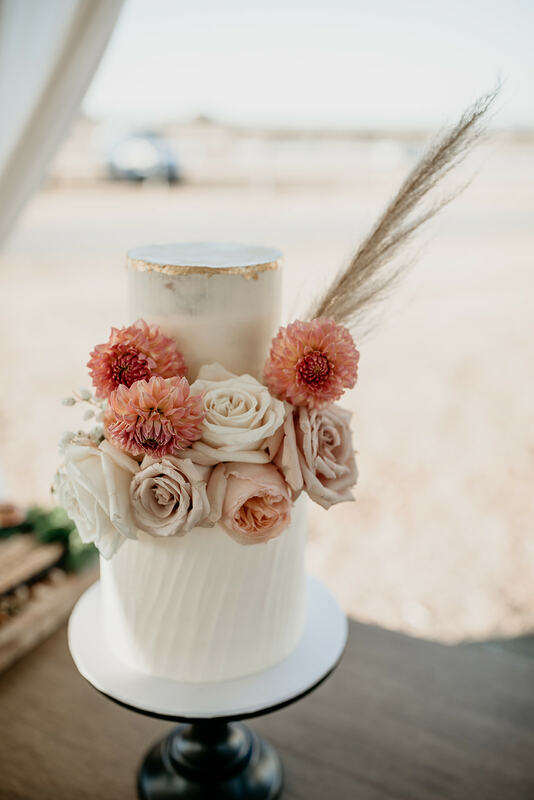 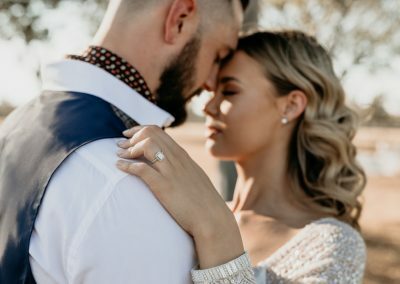 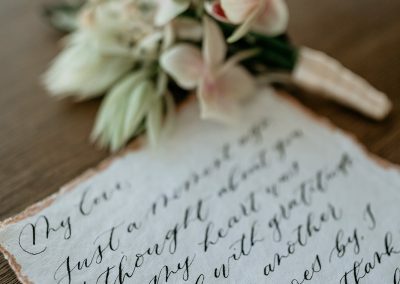 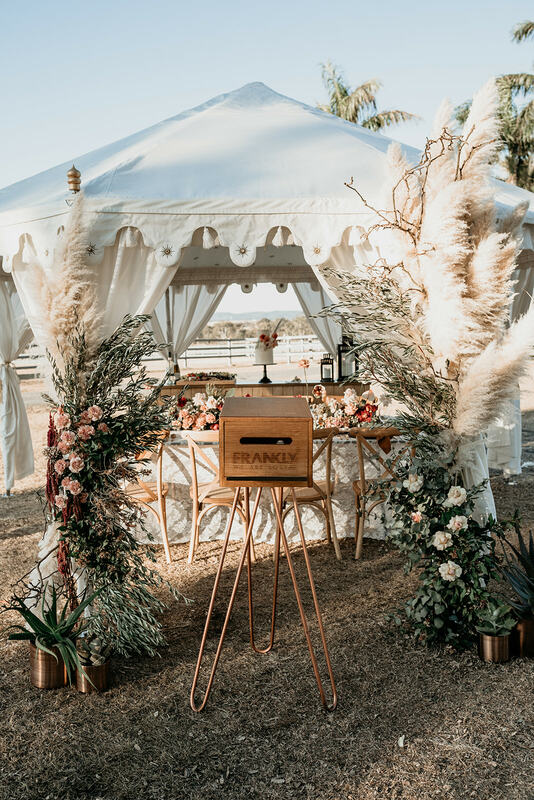 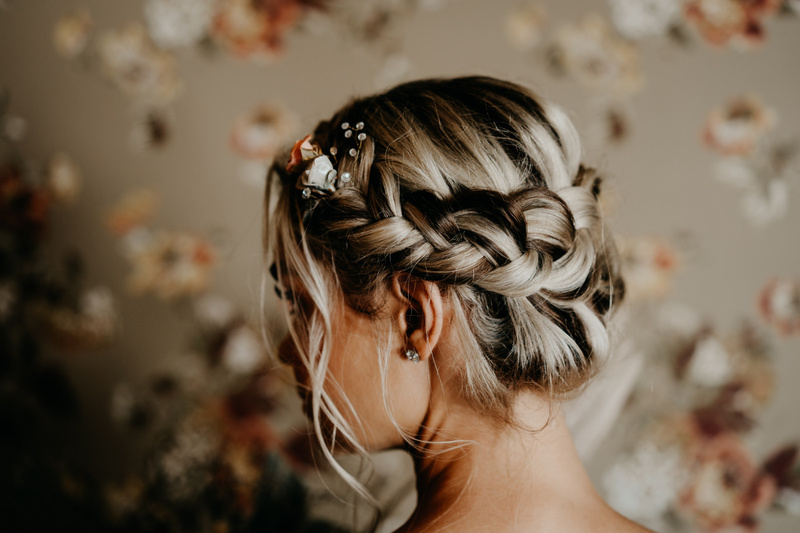 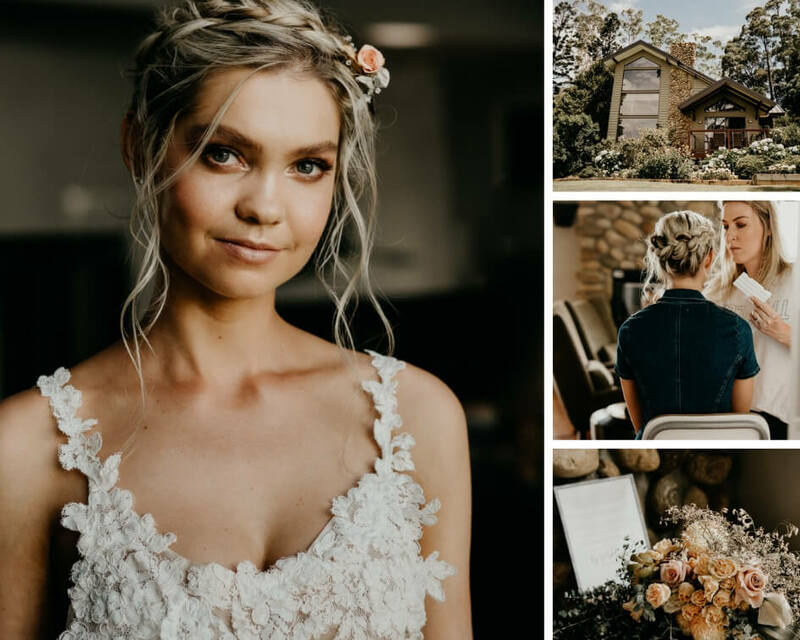 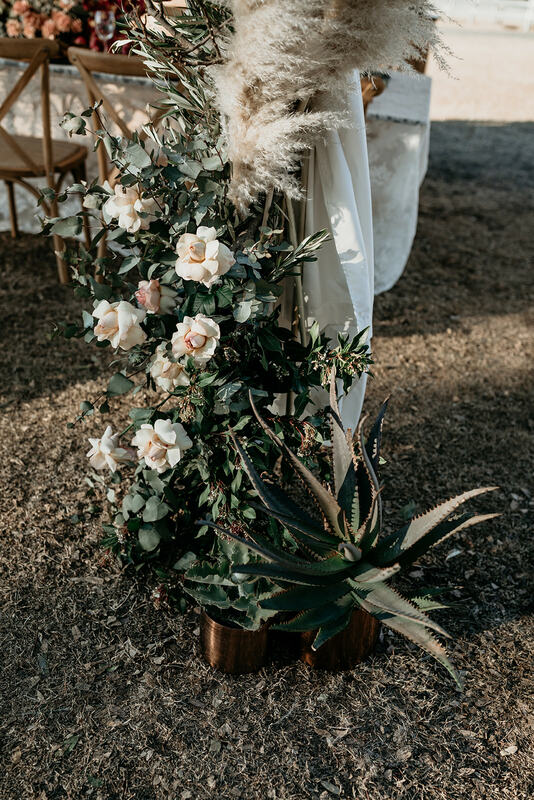 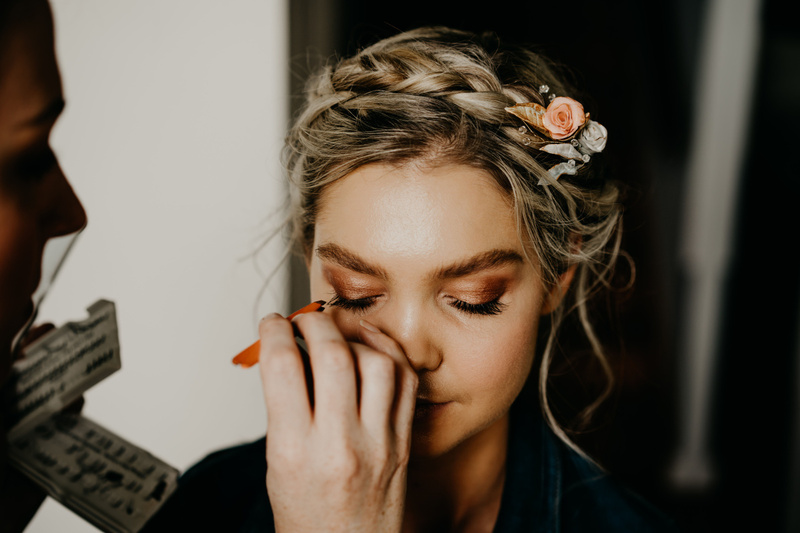 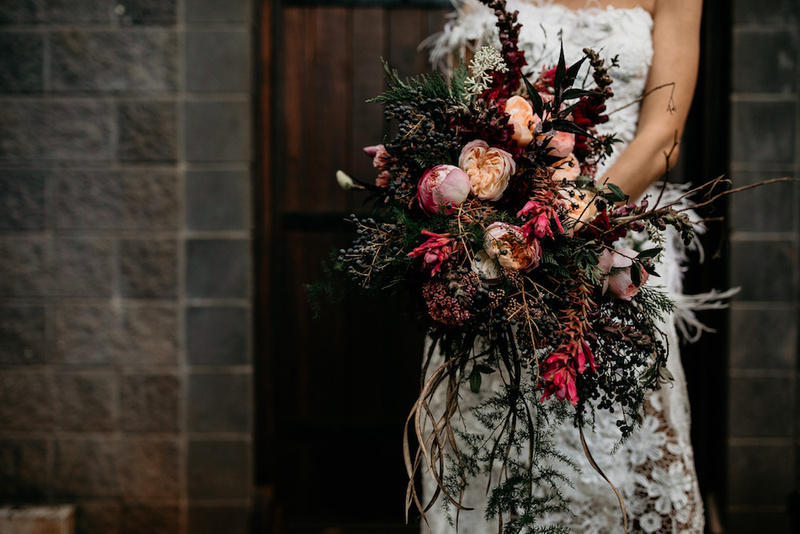 Wedding planner and stylist, Bronwyn McDonald of Scenic Rim Bride shares her inspiration and desire to showcase a softer side to the more bohemian wedding trend, often seen at Riverwood Weddings. 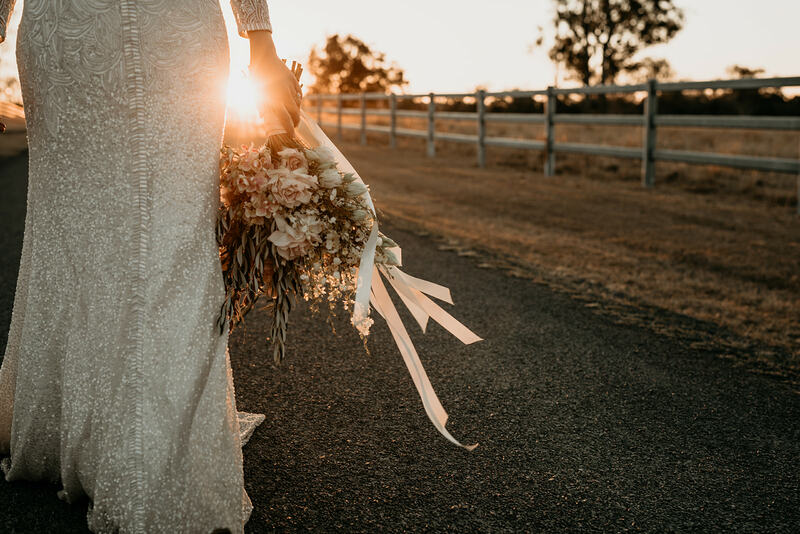 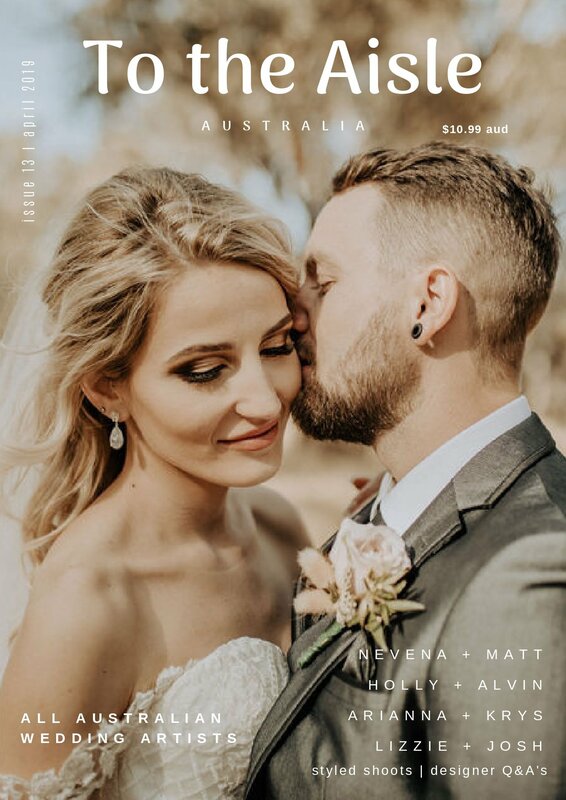 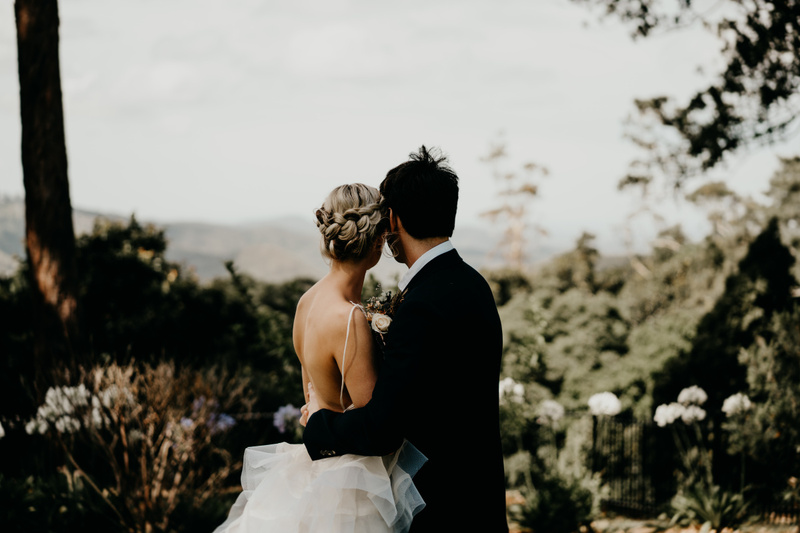 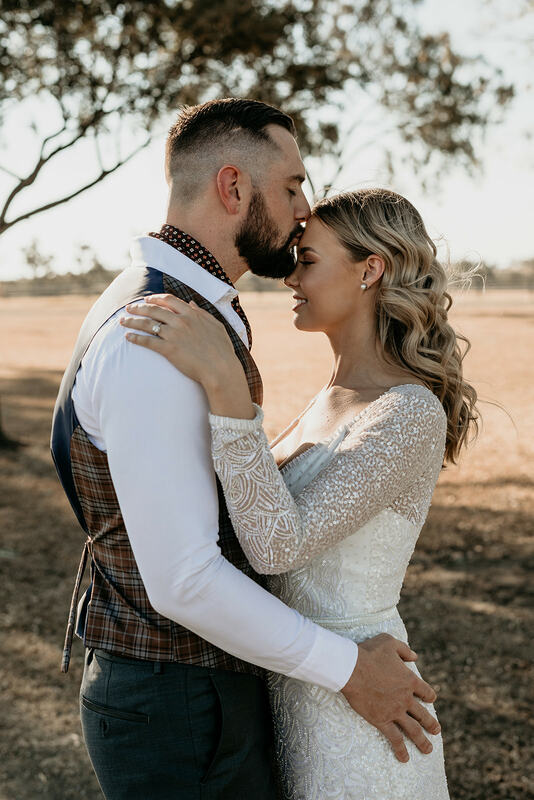 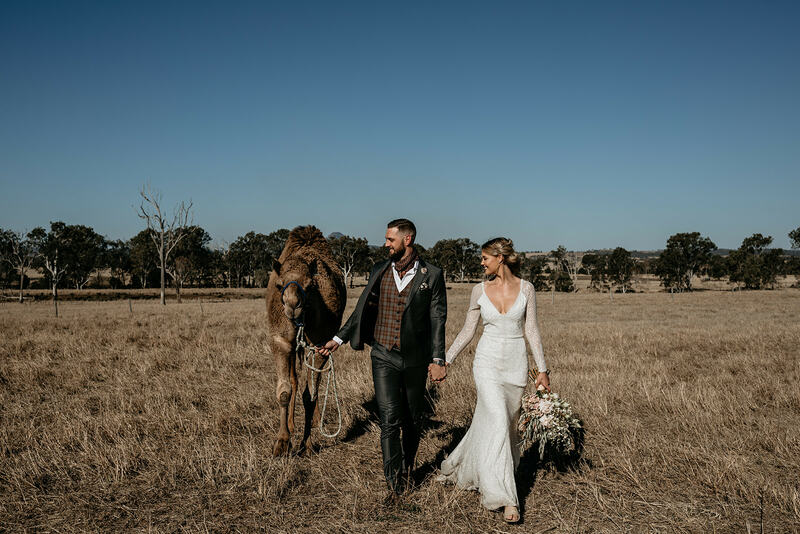 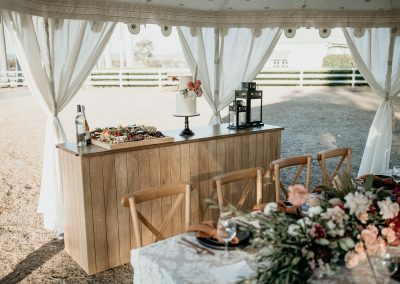 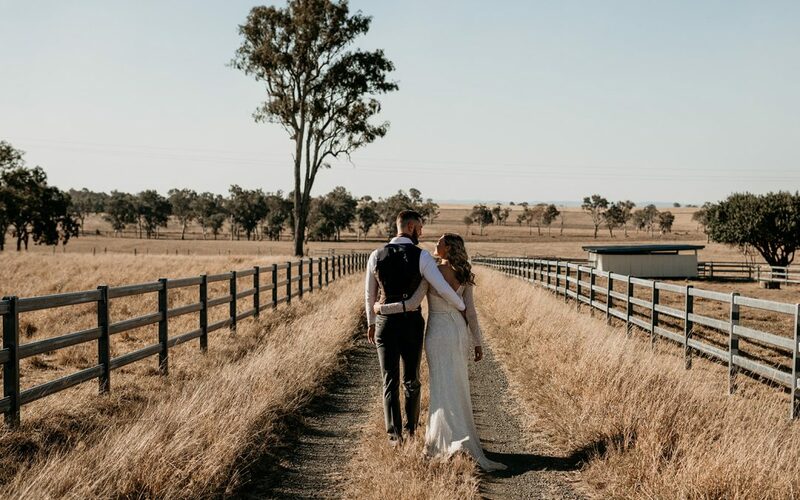 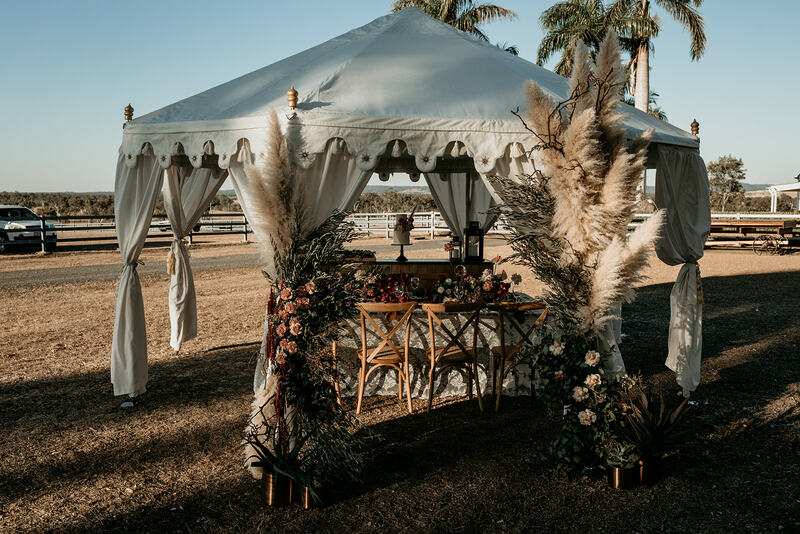 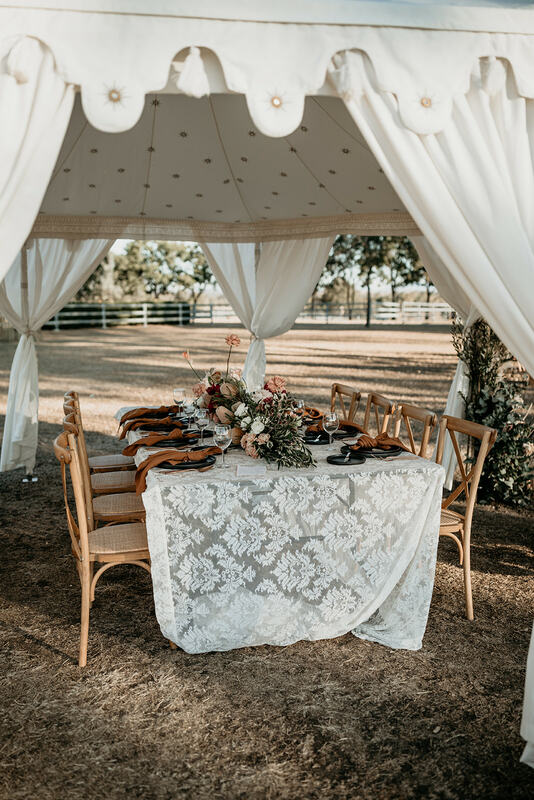 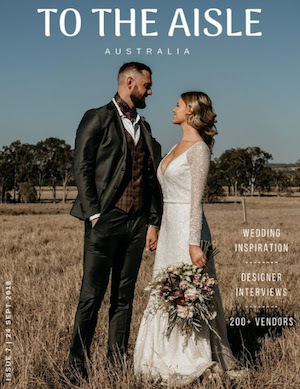 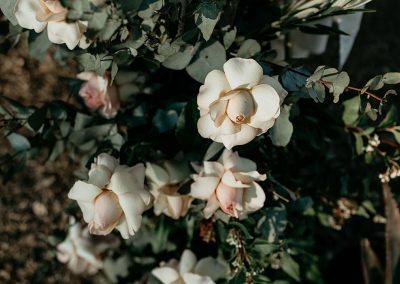 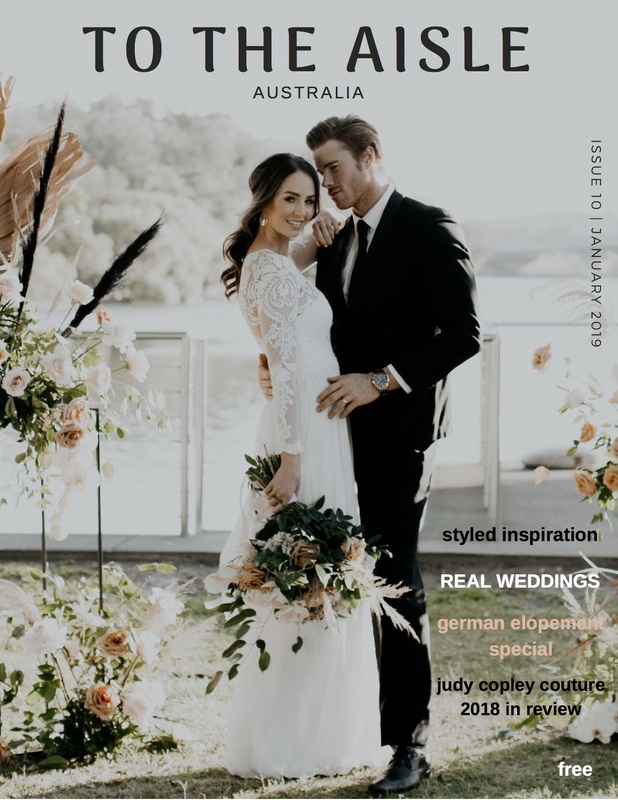 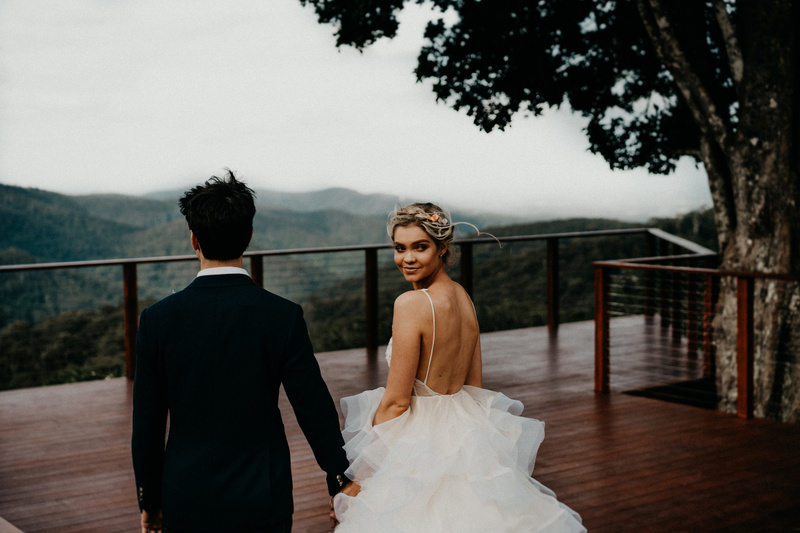 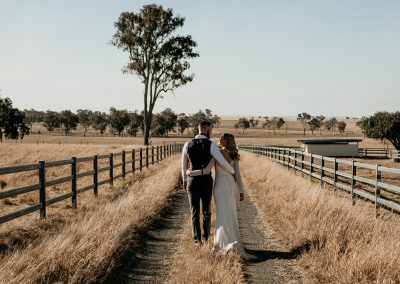 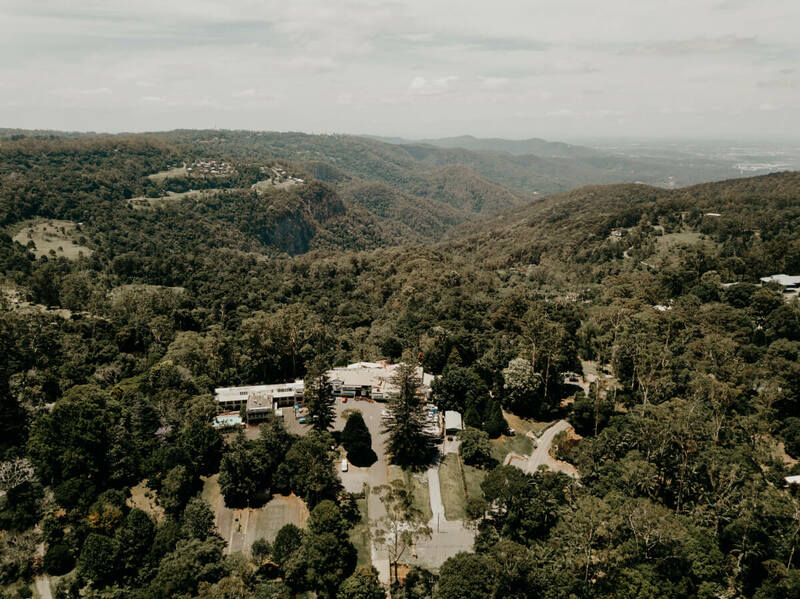 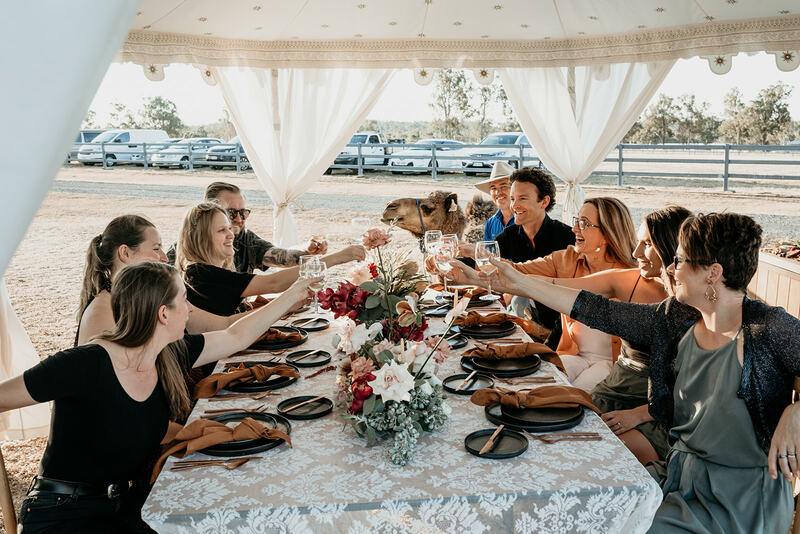 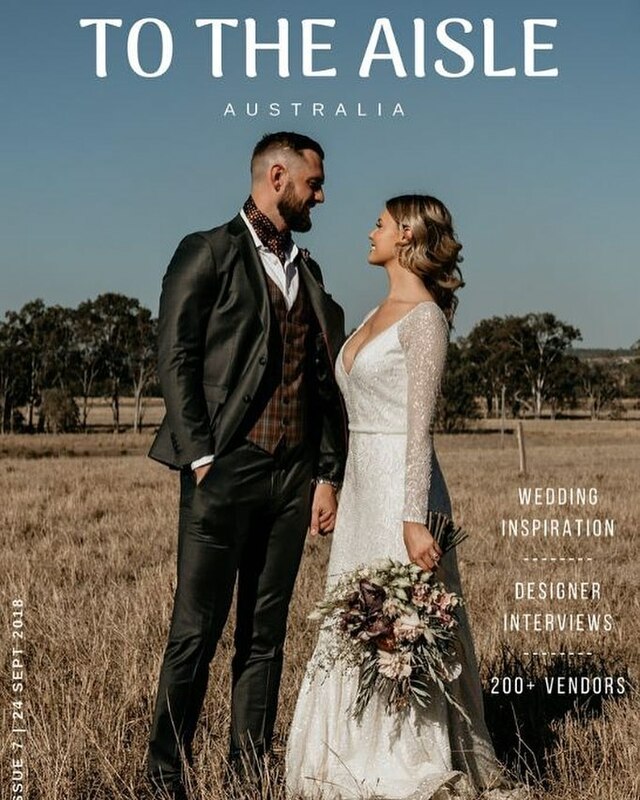 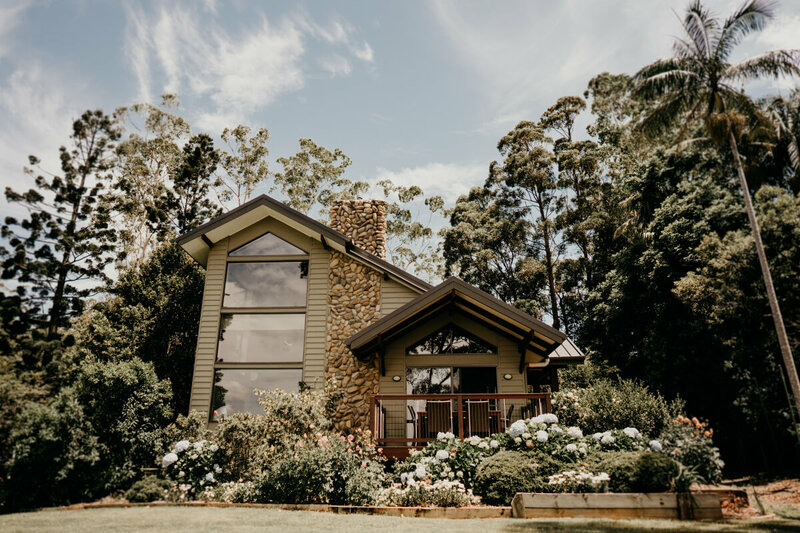 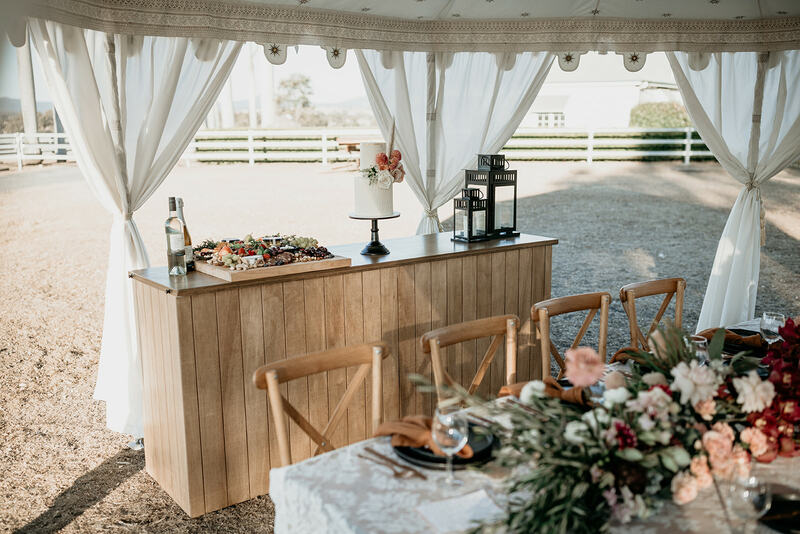 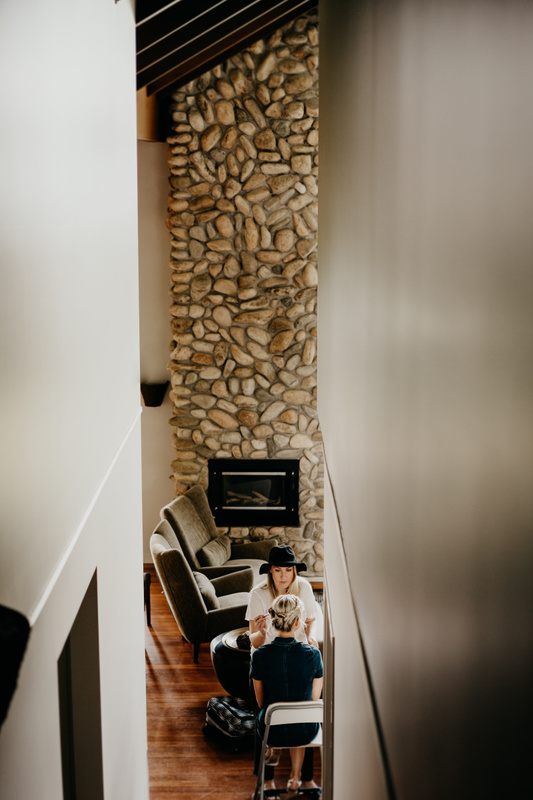 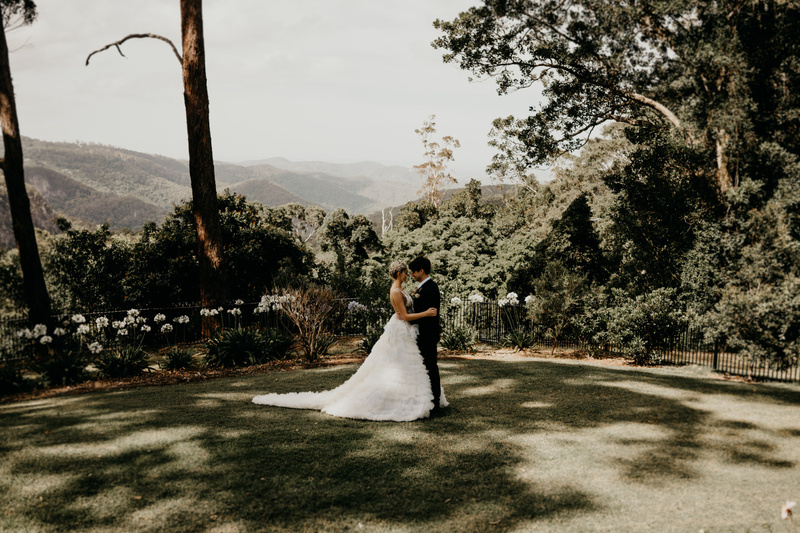 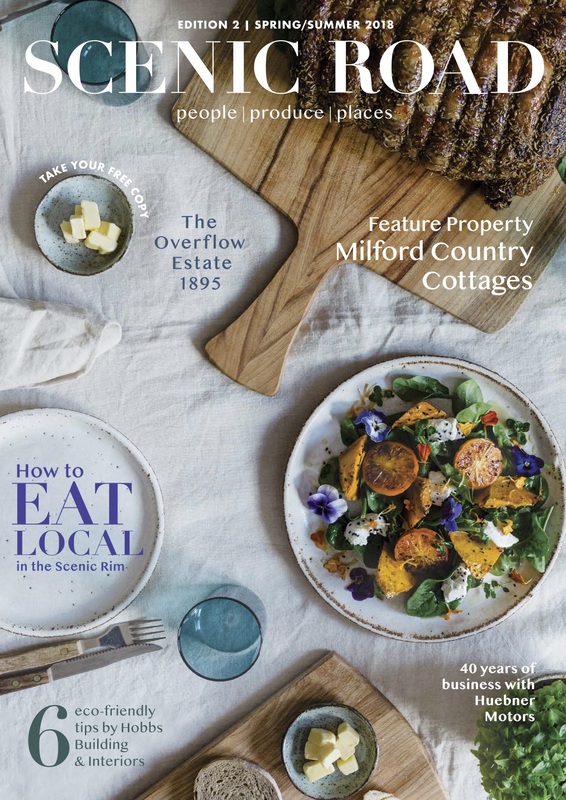 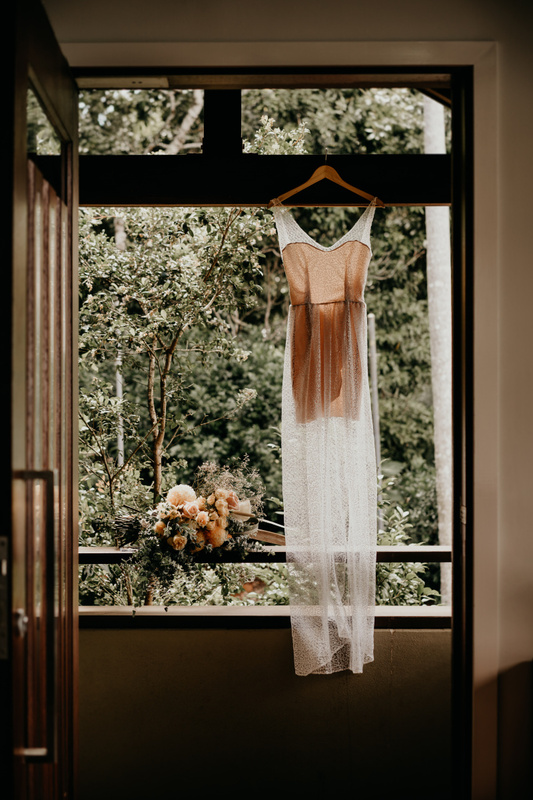 “Whilst bohemian is one of my favourite trends, (modern bohemian in particular), I felt it was an obvious choice for Riverwood.” Those accustomed to Scenic Rim Bride, would have experienced the unexpected when it comes to shining the light on the local wedding scene. 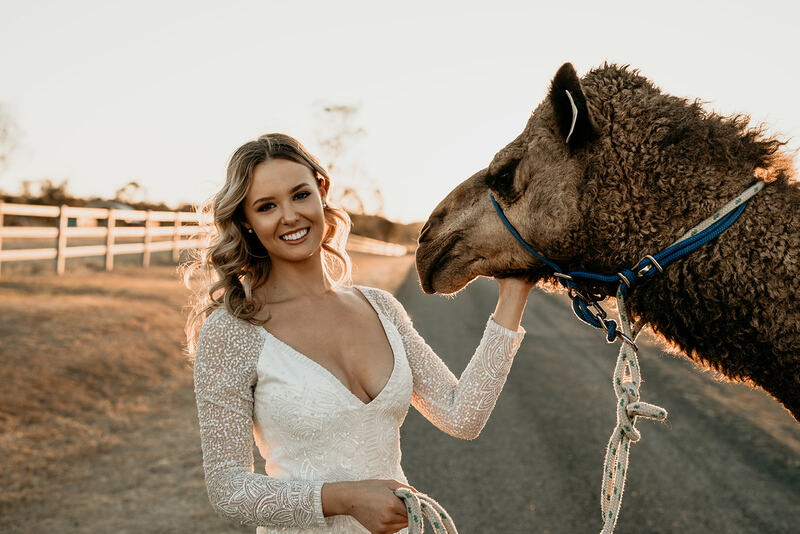 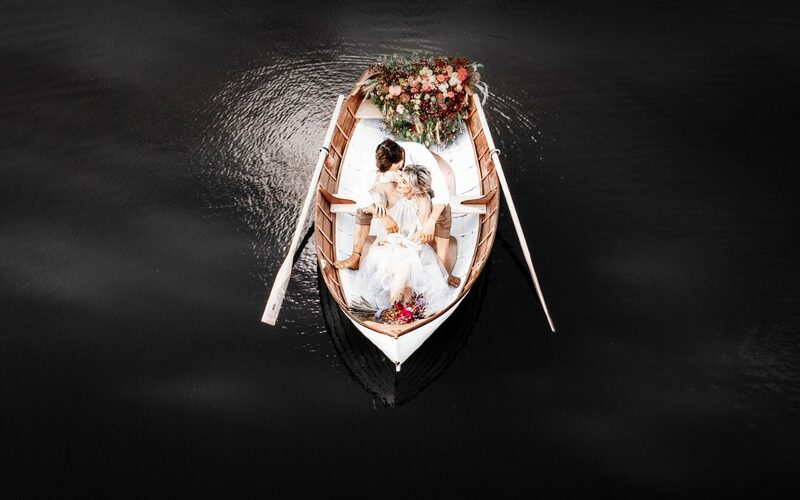 Have you seen the shoot used to launch Scenic Rim Bride? 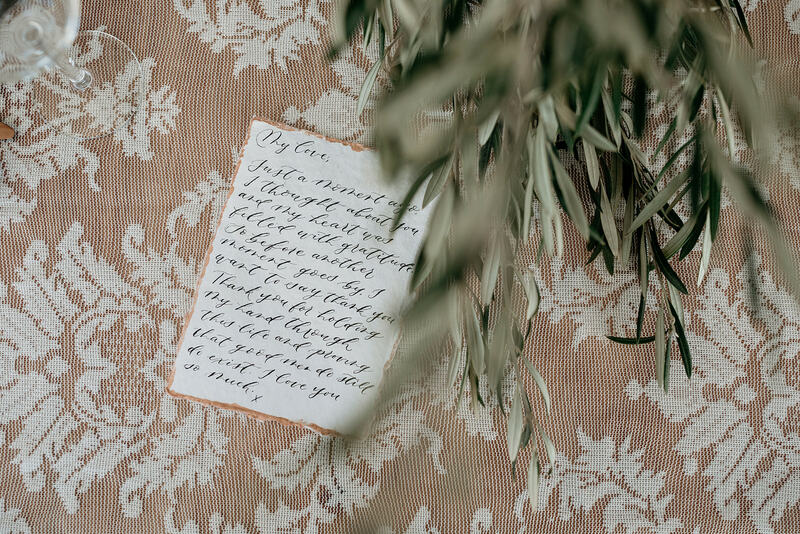 Whilst The Notebook was risky, it pushed the boundaries allowing our creative team to be open and explore new ideas. 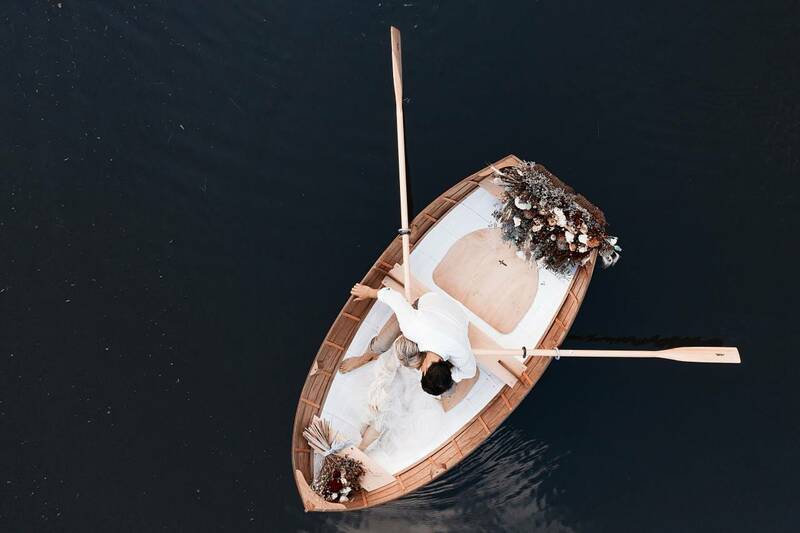 The theme became apparent when Riverwood Weddings venue coordinator Carmen, shared news of a new boat arrival. 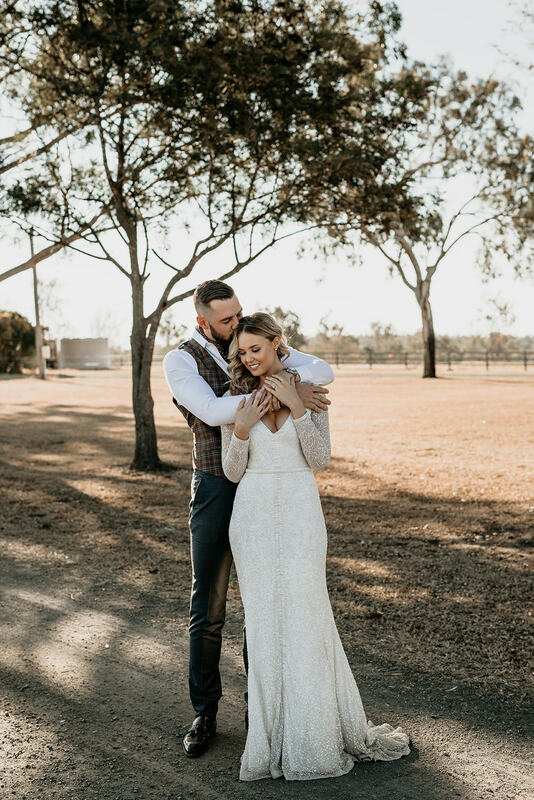 It was a perfect opportunity to create a modern take on the romantic drama film, The Notebook.” The Notebook stars Ryan Gosling and Rachel McAdams as a young couple who fall in love in the 1940s. 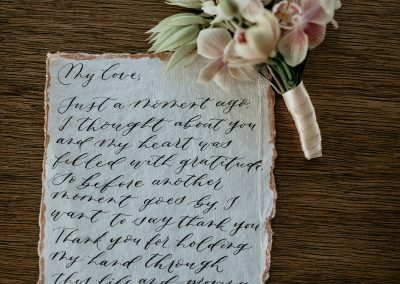 The film is an adaptation of the 1996 novel by Nicholas Sparks. 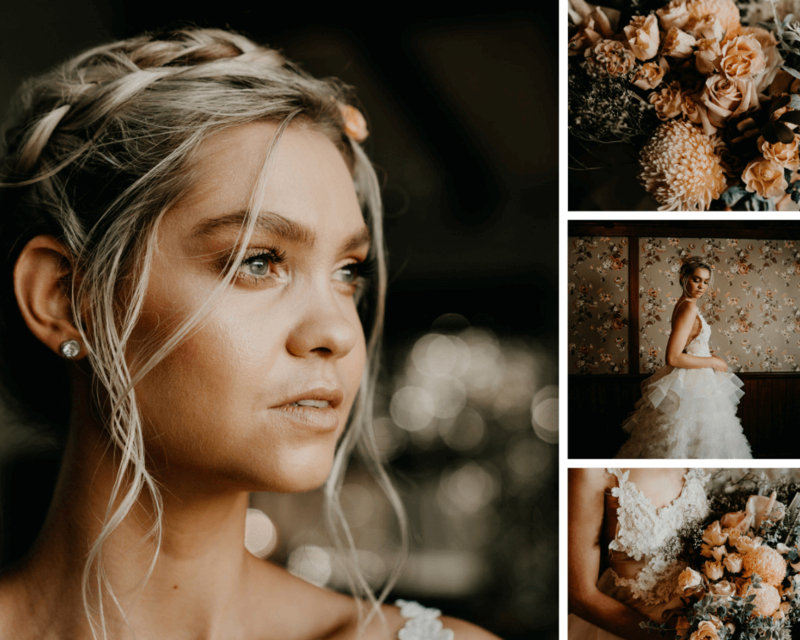 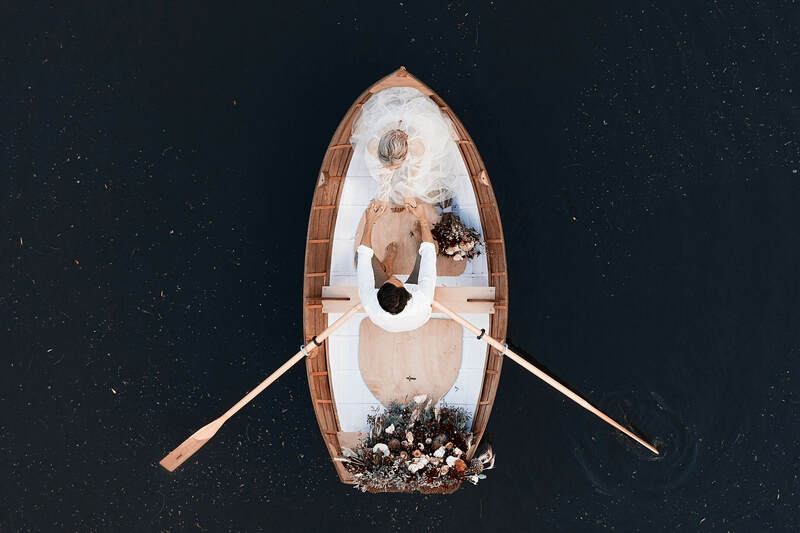 This dreamy style shoot inspired by The Notebook, will take you on a breathtaking journey filled with fresh inspiration for the romantic at heart. 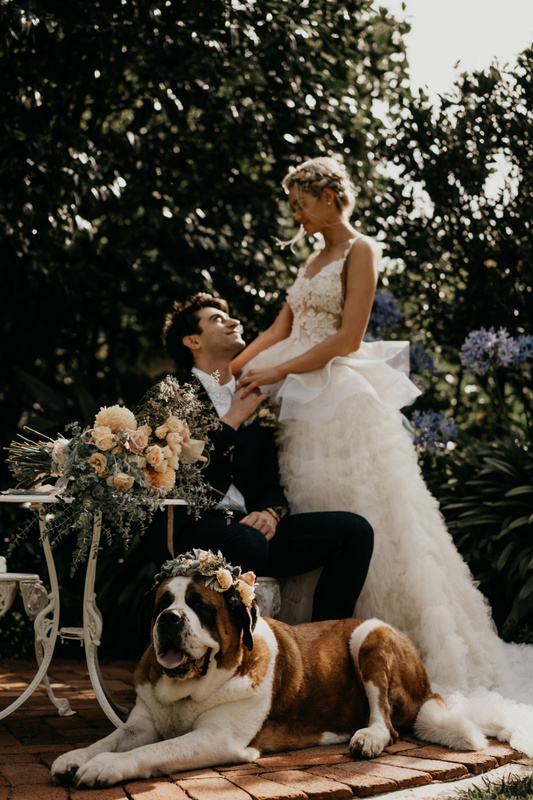 ​The play between the romantic flow of materials, soft silhouettes and eye catching detail will bring a fresh look and unique influence to the modern day bride. 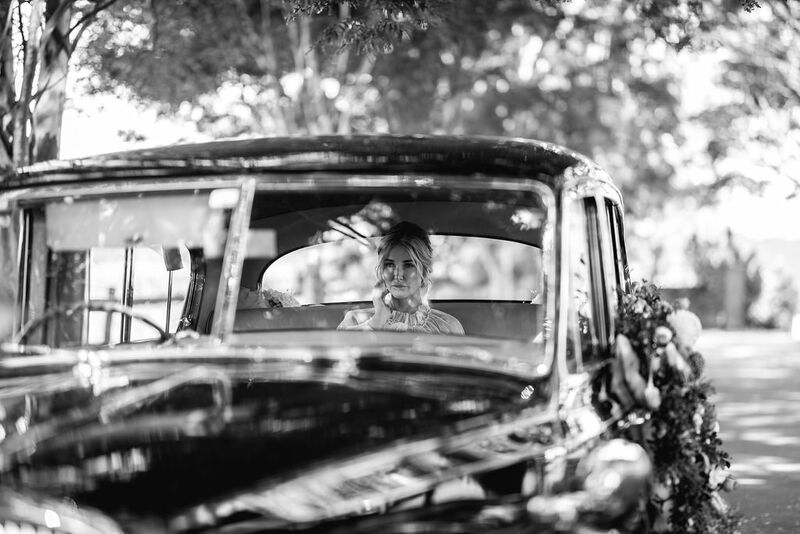 Our beautiful Bride making an entrance in a classic black Rolls Royce from Our Wedding Cars. 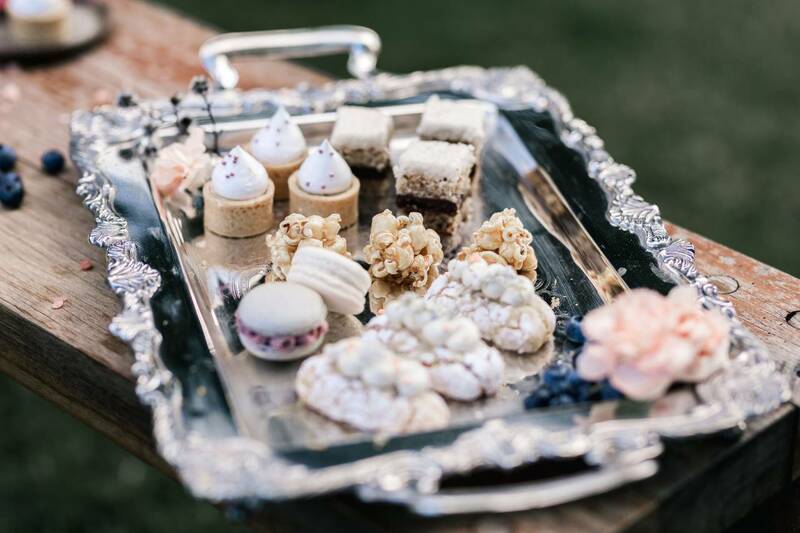 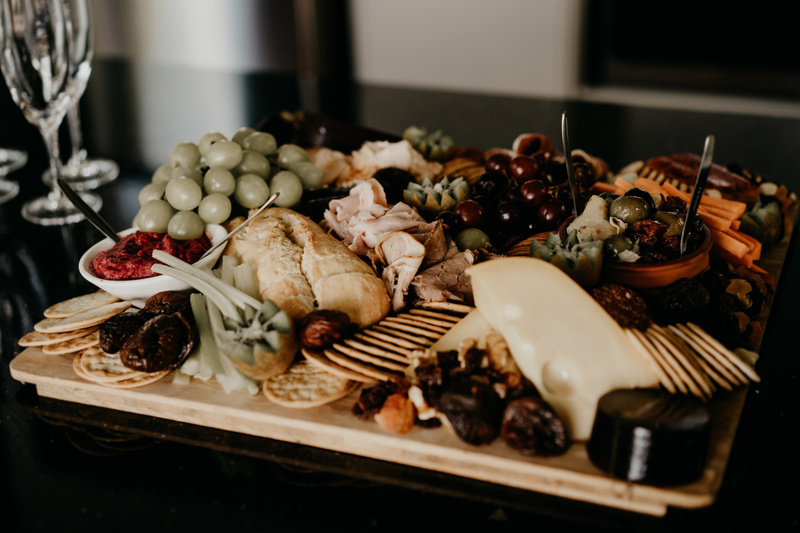 Make like an empress and taste the sweet life with a serve of all things nice with this delicious spread, made by Marina Machado. 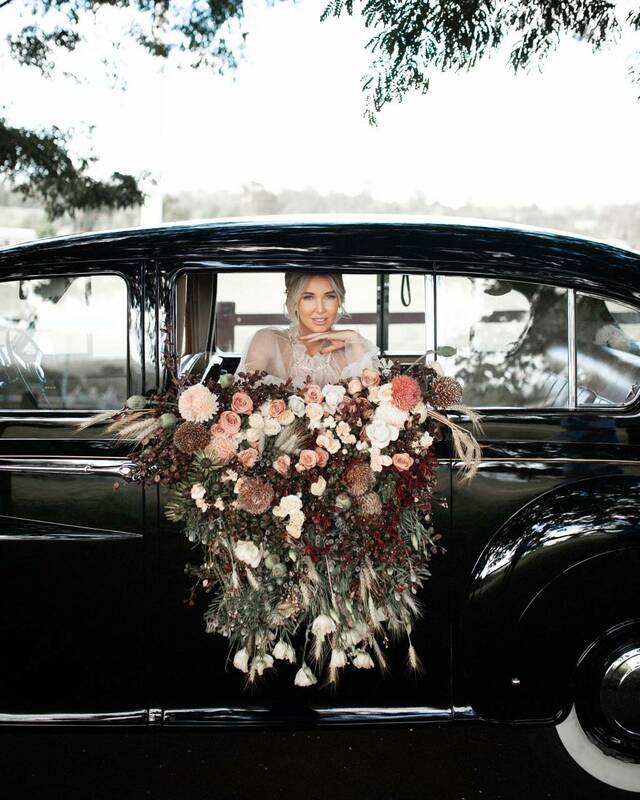 Dreamy floral installations were attached to a pitched arbour whilst the florals used for that dreamy car scene, were later reworked into the boat scene. 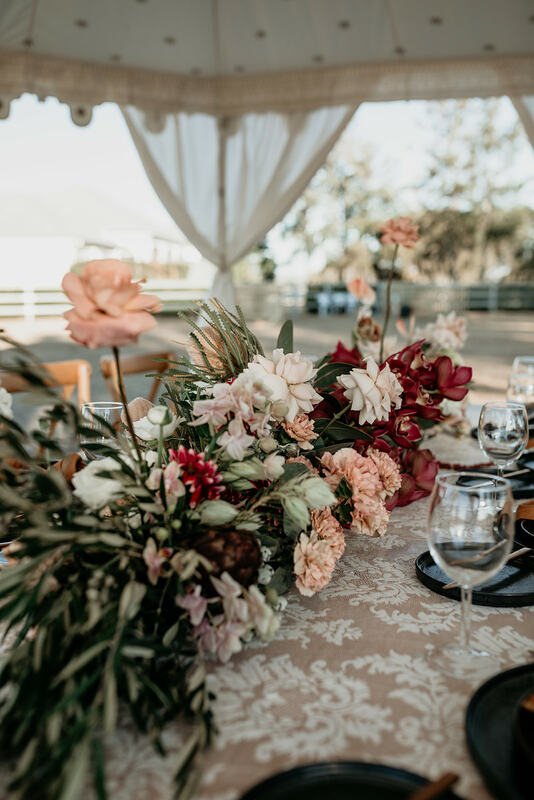 An abundance of fresh florals perfectly positioned, added more than the finishing touches. 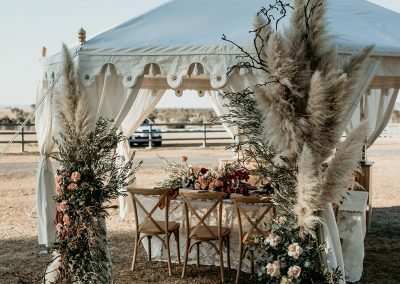 Arbour and florals by Sugared Style. 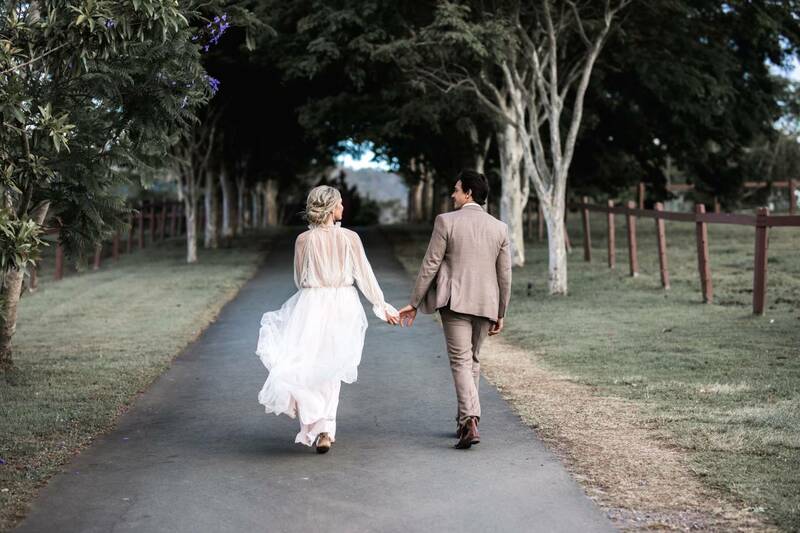 Kirra was mesmerising in a dusty rose coloured tulle gown creating a whimsical effect. 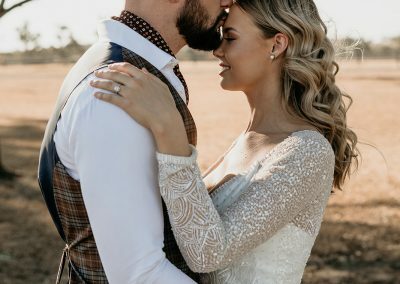 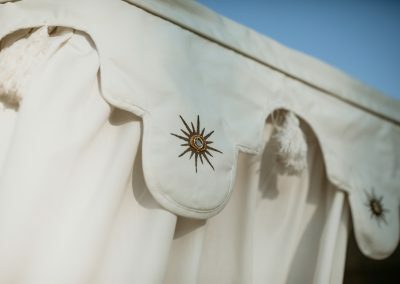 Perfectly fitting for our vintage inspired wedding. 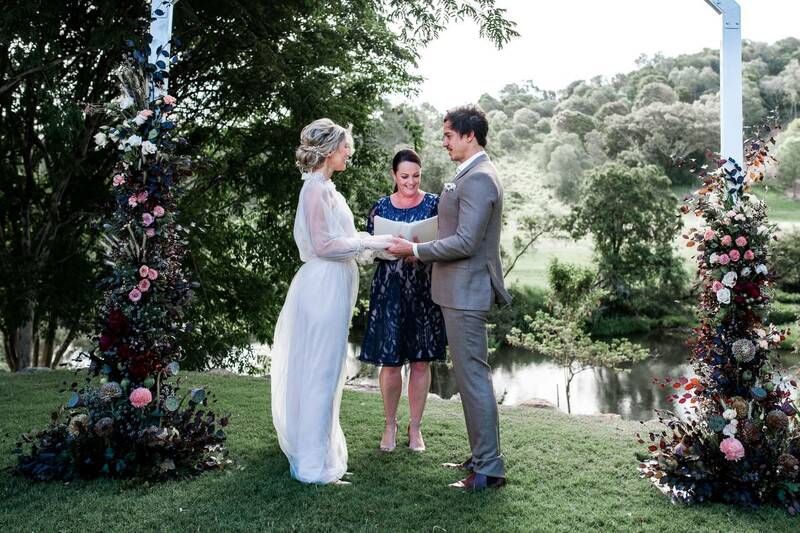 Rebecca Kesby Marriage Celebrant added a traditional touch wearing ‘something blue’. 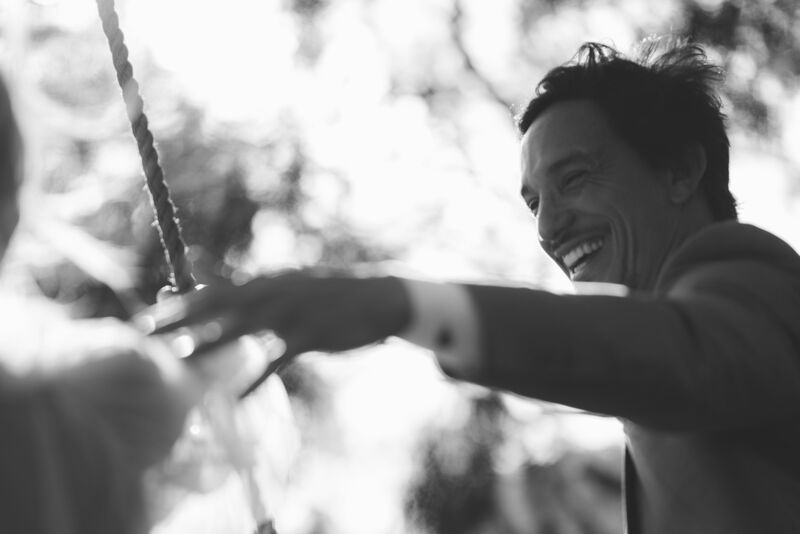 Our groom, Dean looked handsome in Urbbana. 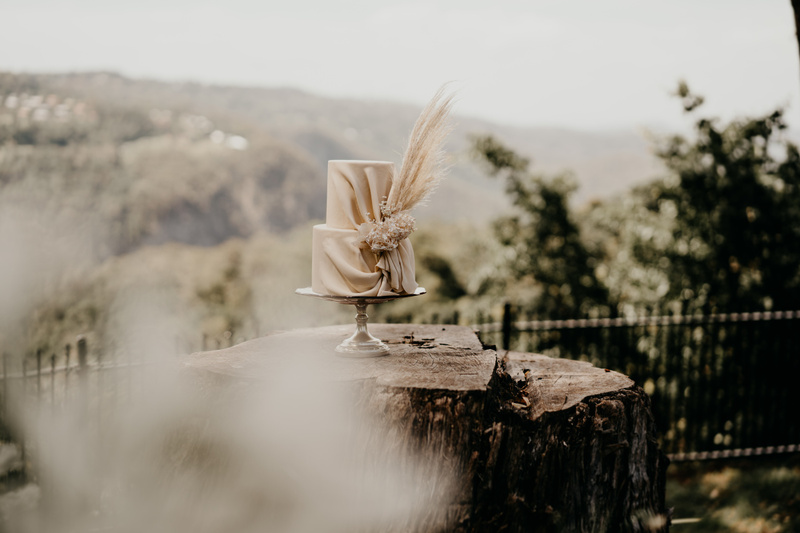 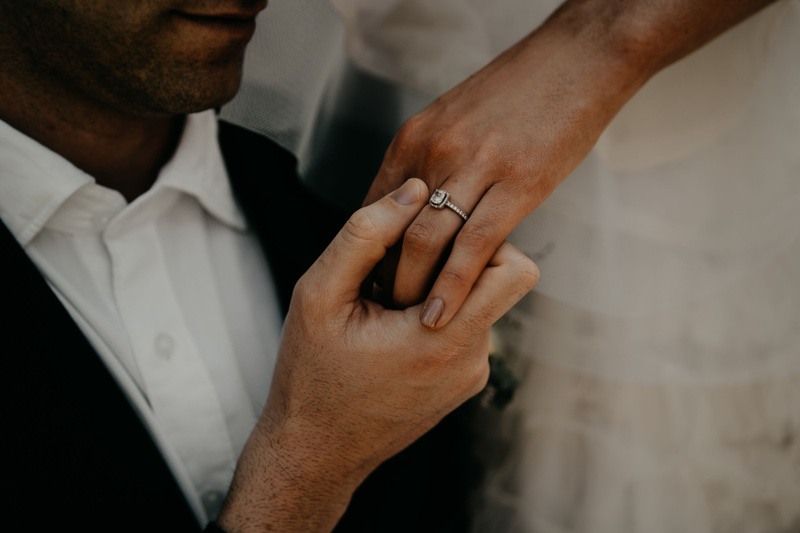 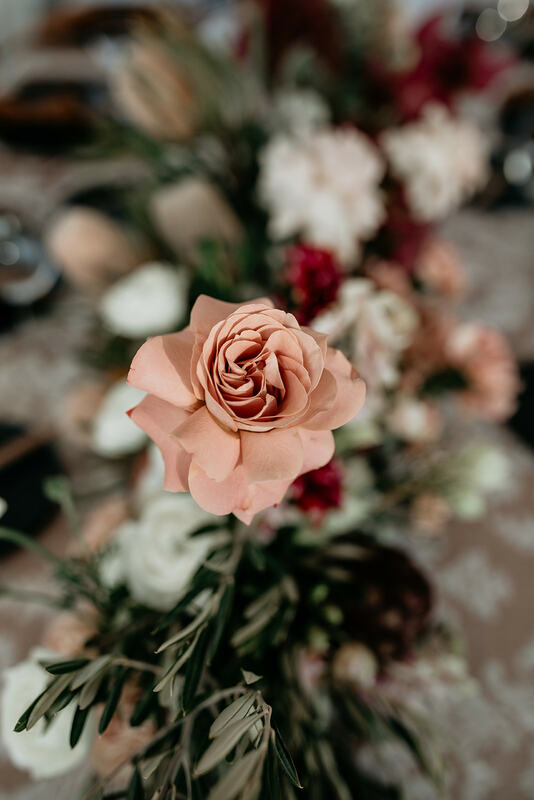 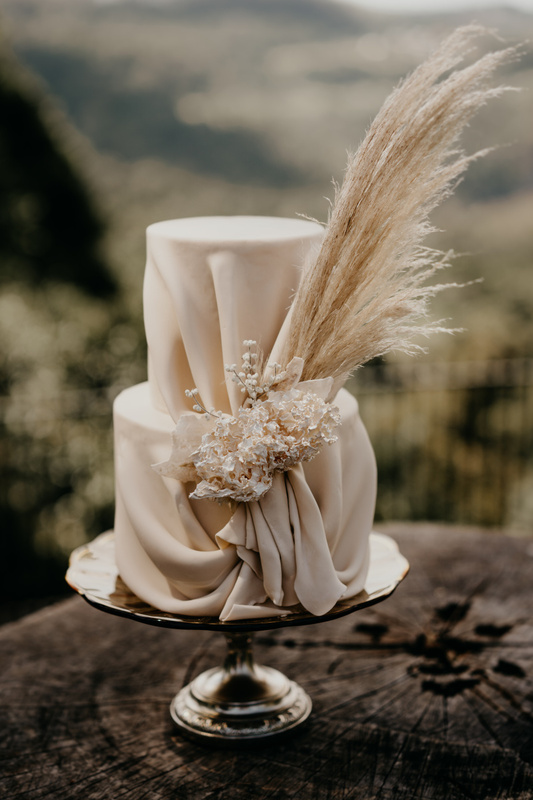 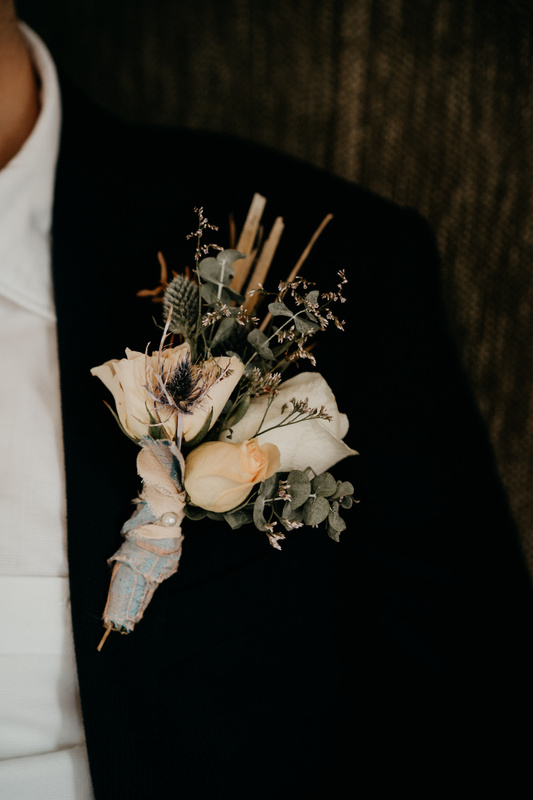 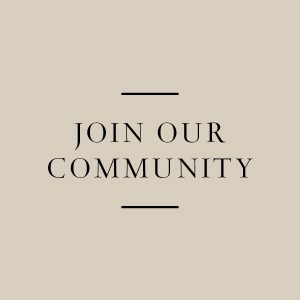 If you’re engaged and would like to engage Scenic Rim Bride to assist with the planning and/or styling of your special day, we would love to hear from you! 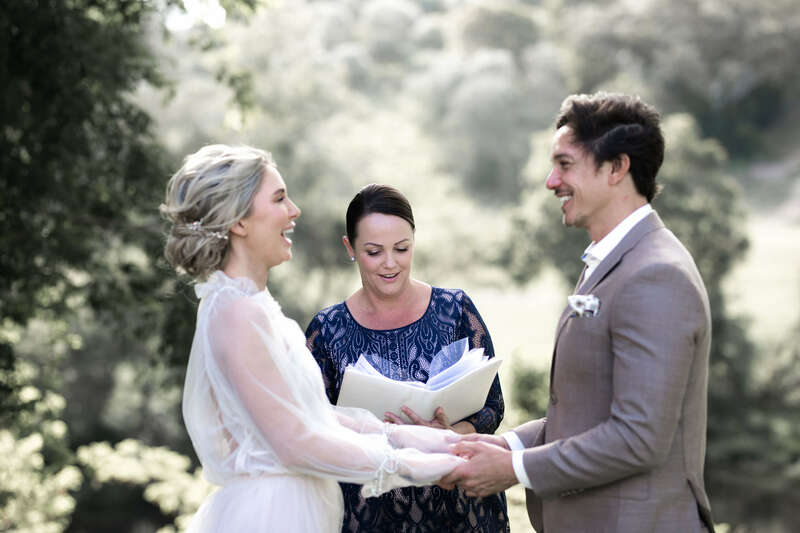 Simply send and email to IDO@scenicrimbride.com.au or contact by visiting our website. 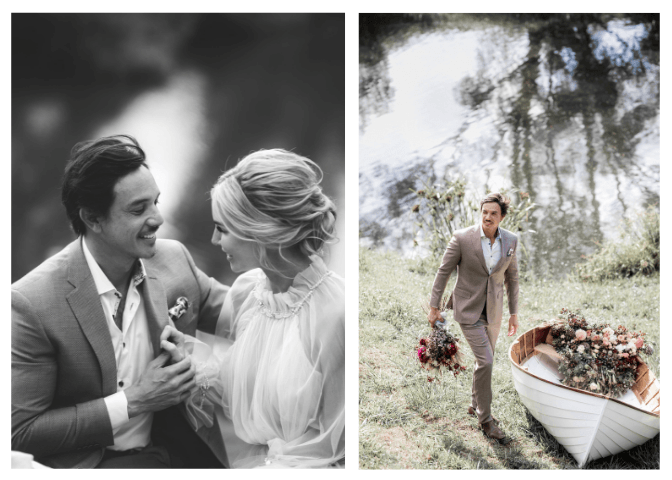 I would like to thank my creative team below for fulfilling the design brief and for always going above and beyond. 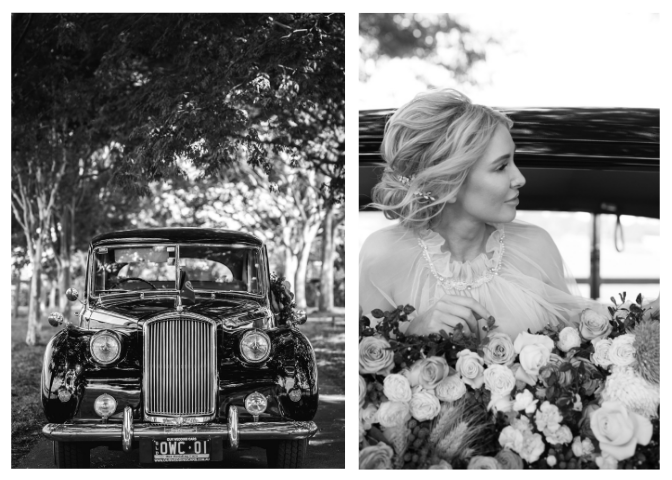 The images captured from this day by Orchard Grove Studios are truly breathtaking. 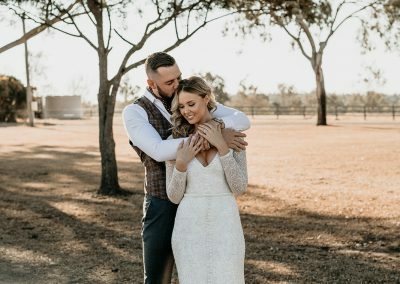 It was my first time shooting with Amanda & Ty. 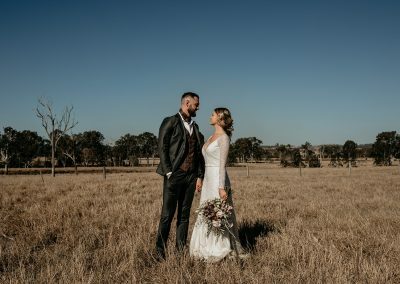 Their professional yet friendly working relationship made it a breeze for all on the day. 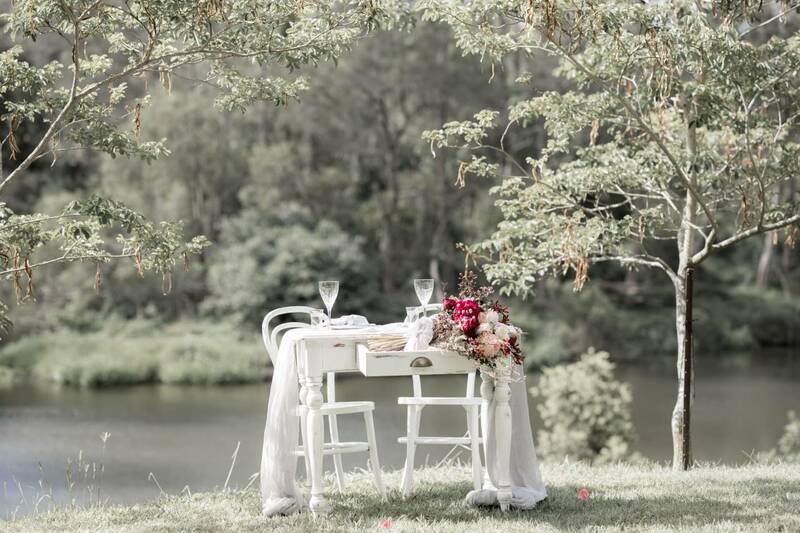 Scenic Rim Bride highly recommends Orchard Grove Studios to capture your wedding day. 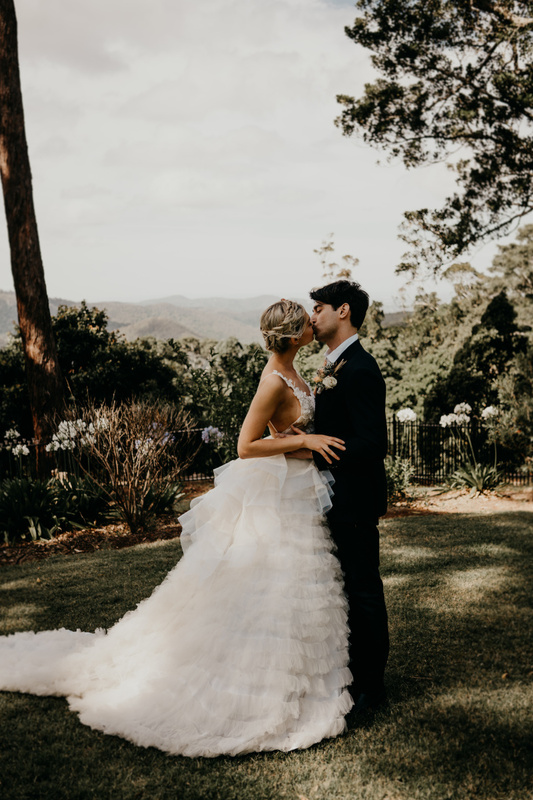 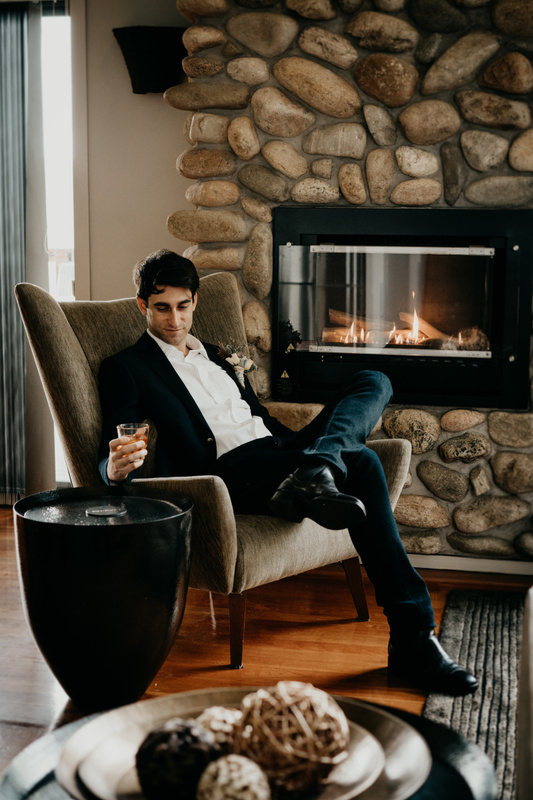 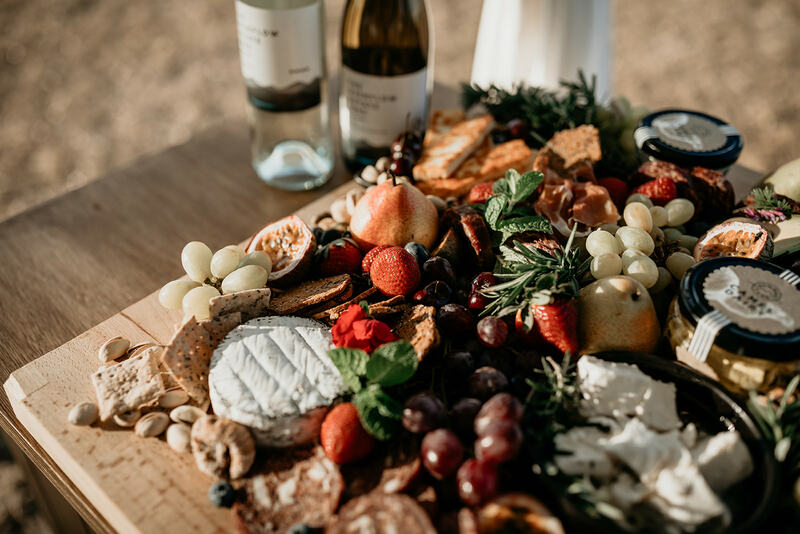 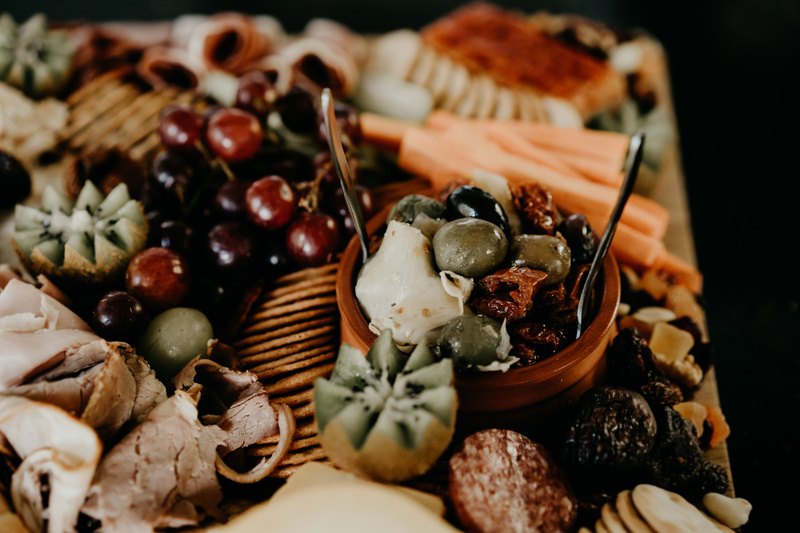 Recently we teamed up with some new and familiar faces within the wedding industry to produce an intimate styled shoot on Tamborine Mountain. 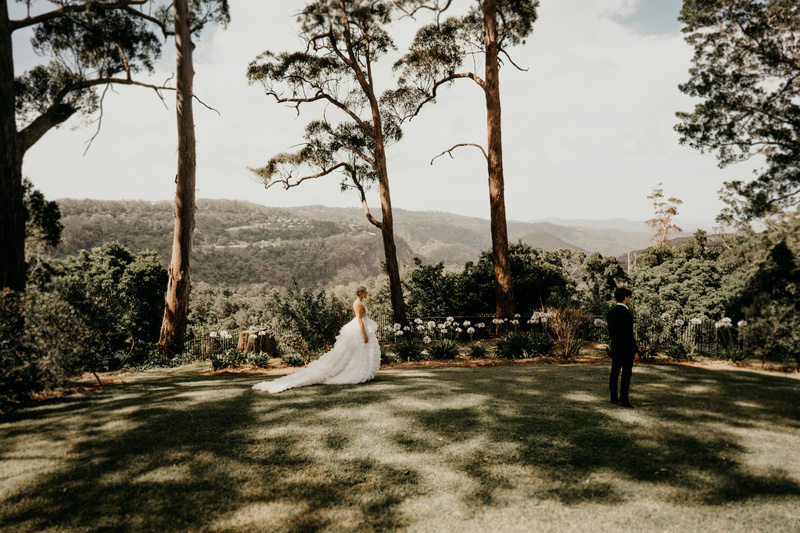 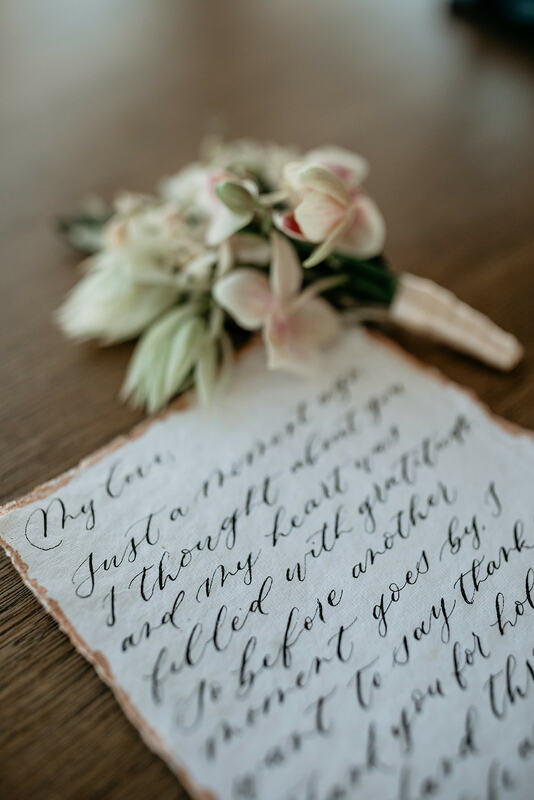 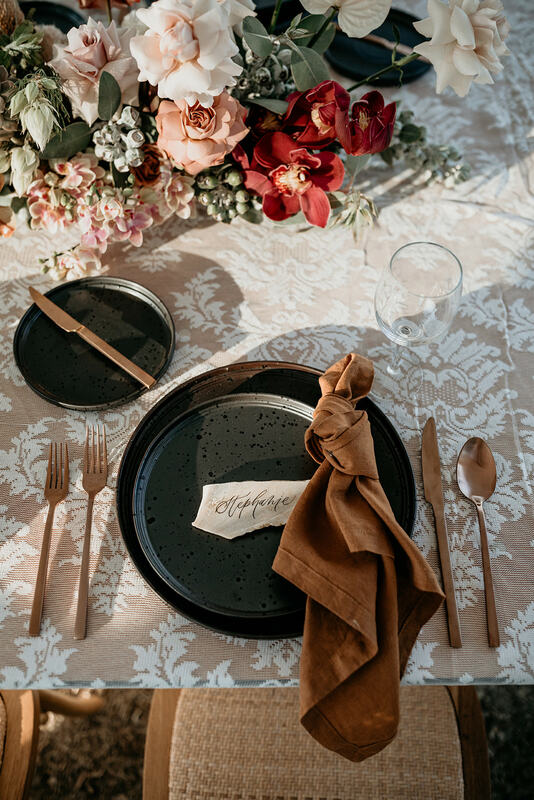 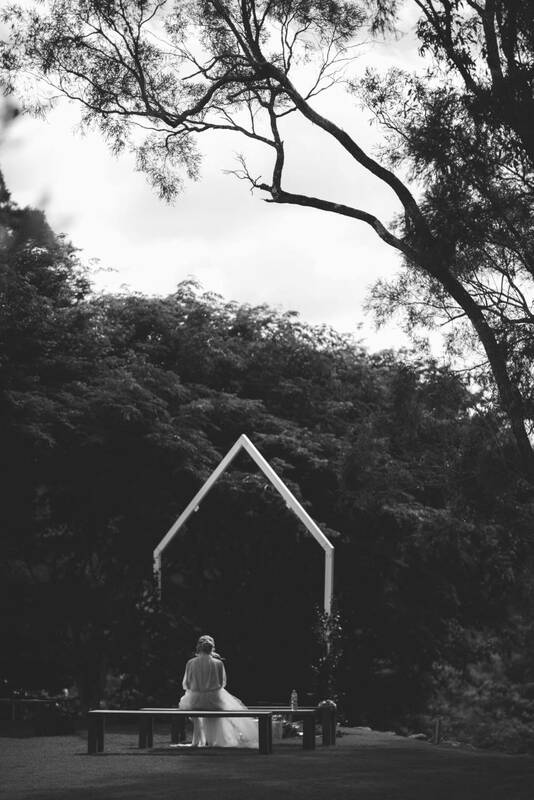 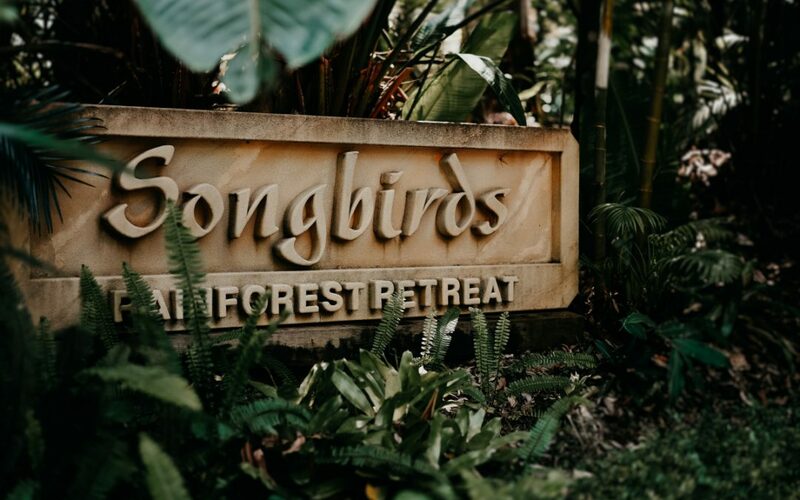 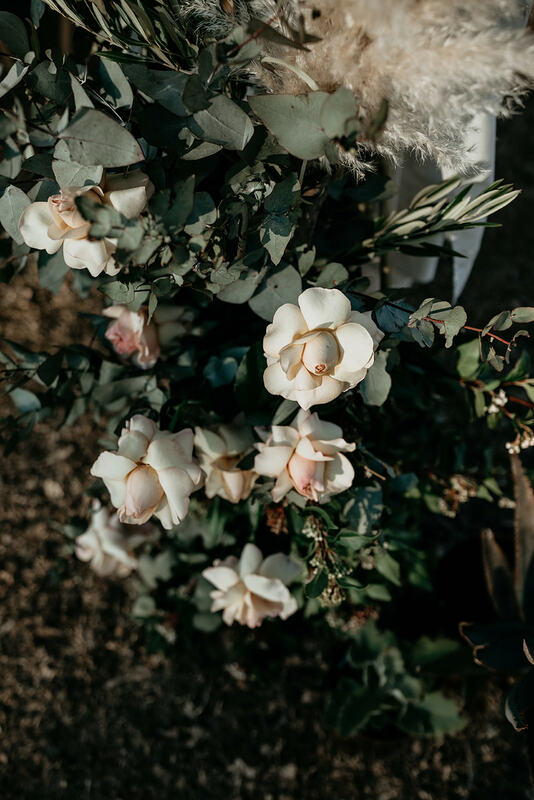 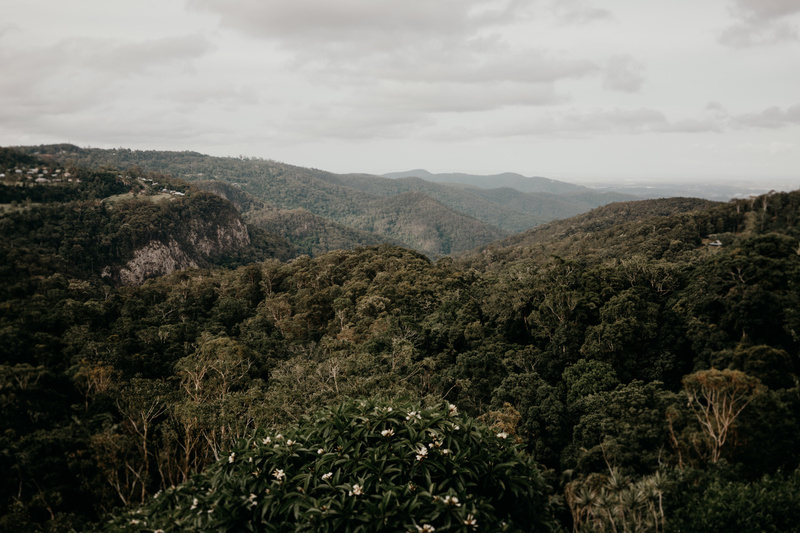 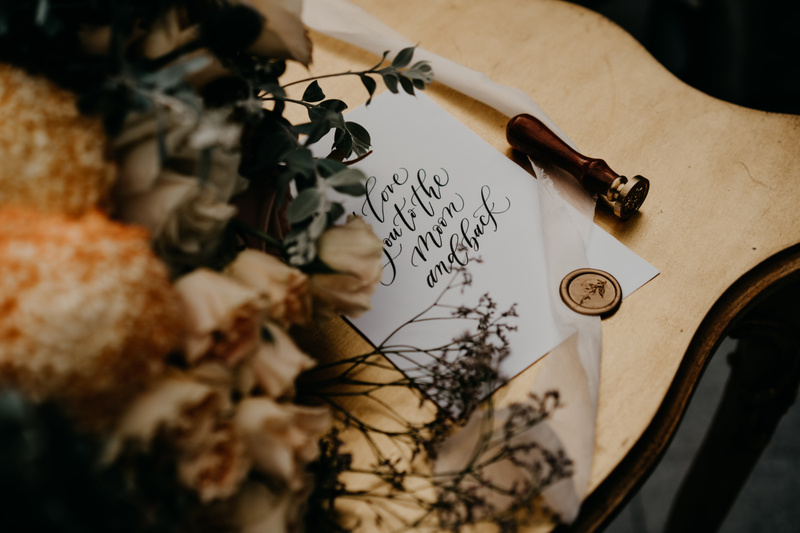 With exclusive use of the left wing at the Castle on Tamborine within Lisson Grove, our small team of wedding vendors from Brisbane to Byron Bay brought our inspired vision to life which was perfectly captured by Ryan from Feather and Finch Photography. 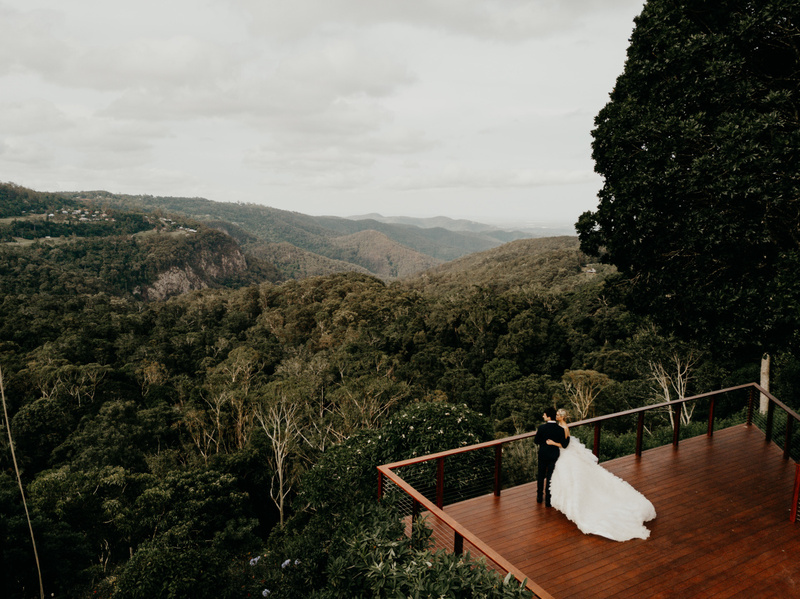 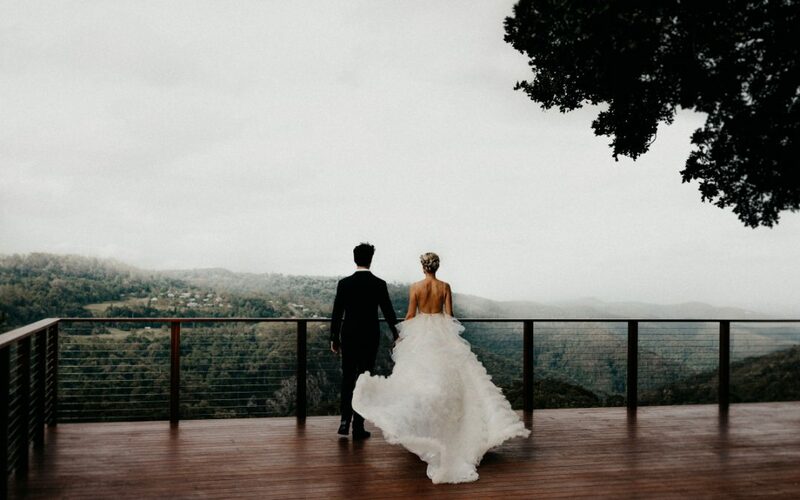 Cedar Creek Lodges is a picture perfect wedding and honeymoon destination in the Gold Coast Hinterland. 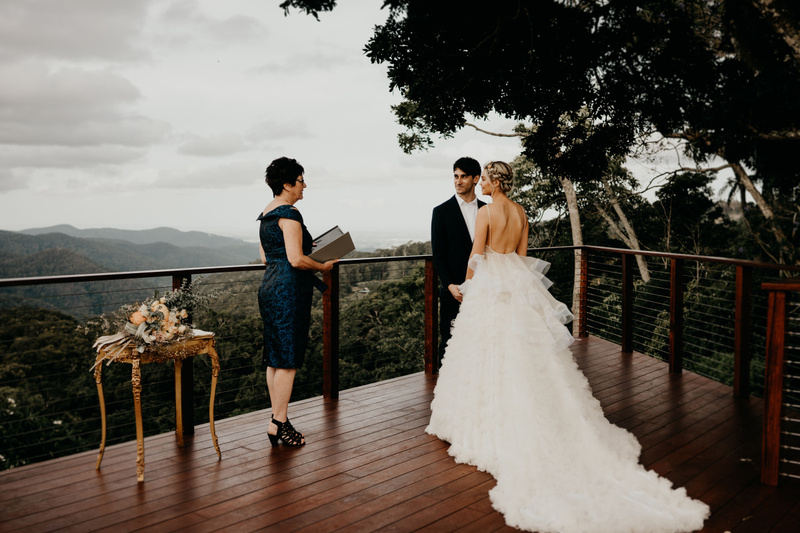 Planning a dream wedding has never been more easy with everything you need in one romantic rainforest location. 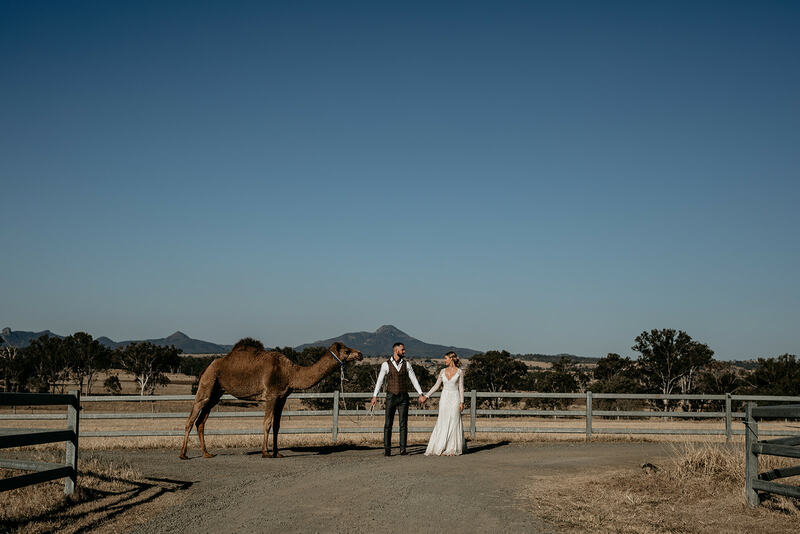 Welcome to the start of our journey at Scenic Rim Bride! 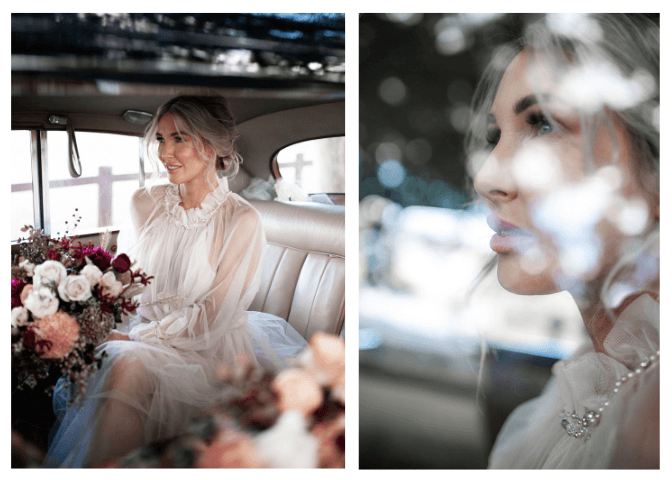 Possibly one of my favourite styled shoots yet. 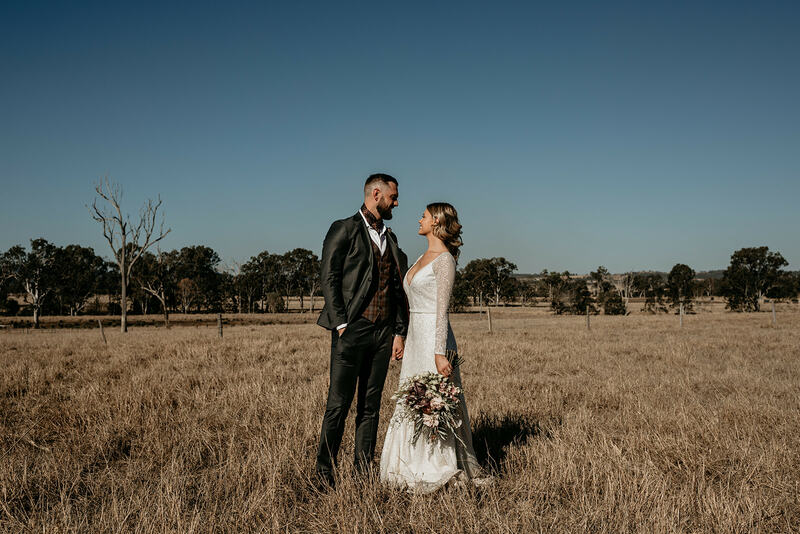 Featuring a gown by renowned Australian designer Karen Willis Holmes, starring real life Bride and Groom to Be, Eden Maree and Bryce Retzlaff captured by Feather & Finch Photography. 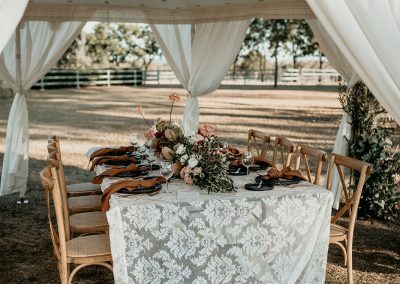 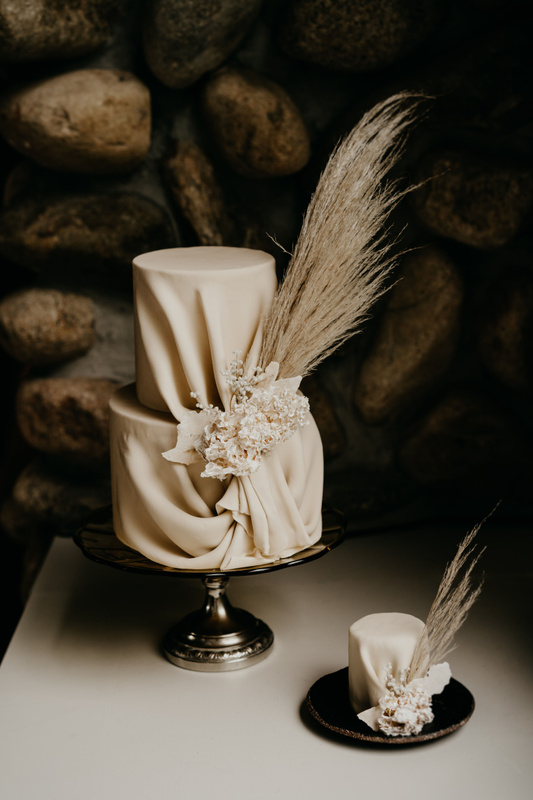 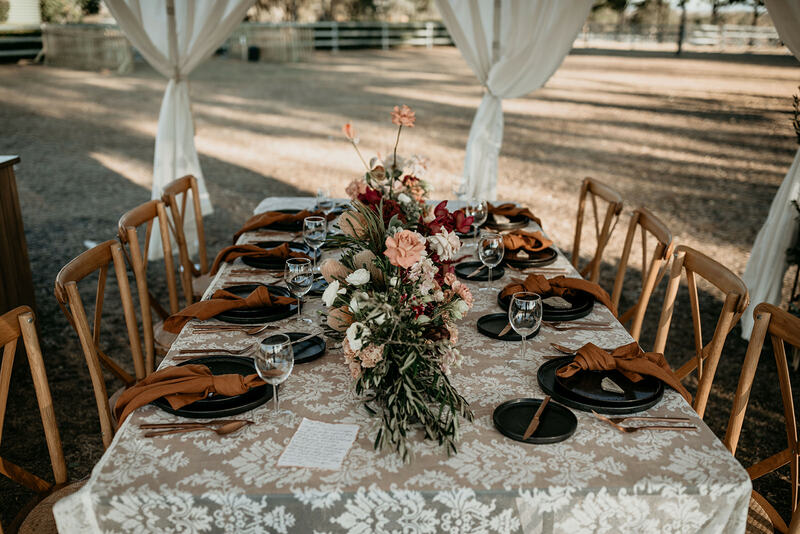 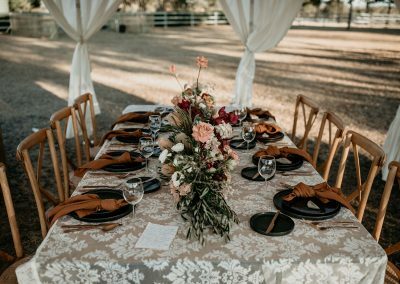 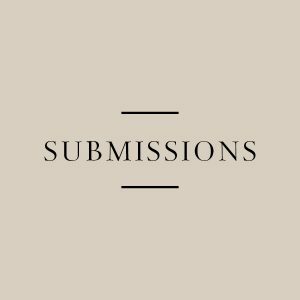 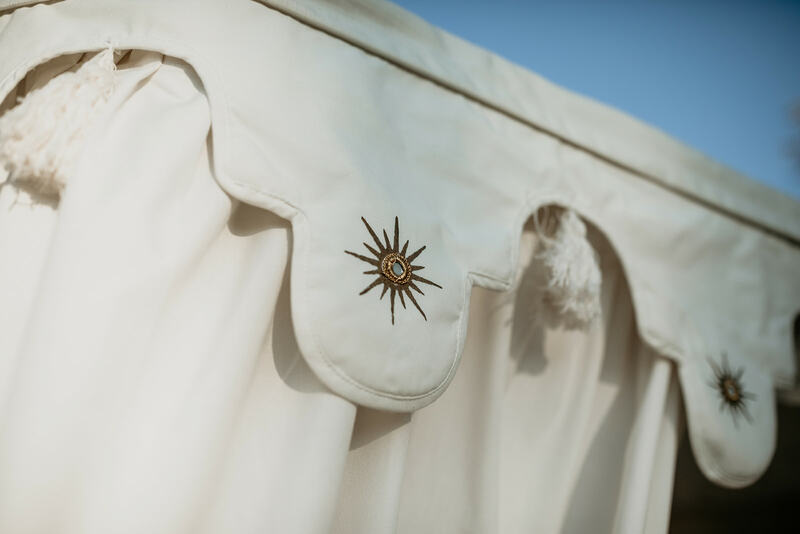 A select number of wedding vendors we know and trust, were each invited to contribute to our vision of creating a country luxe wedding scene. 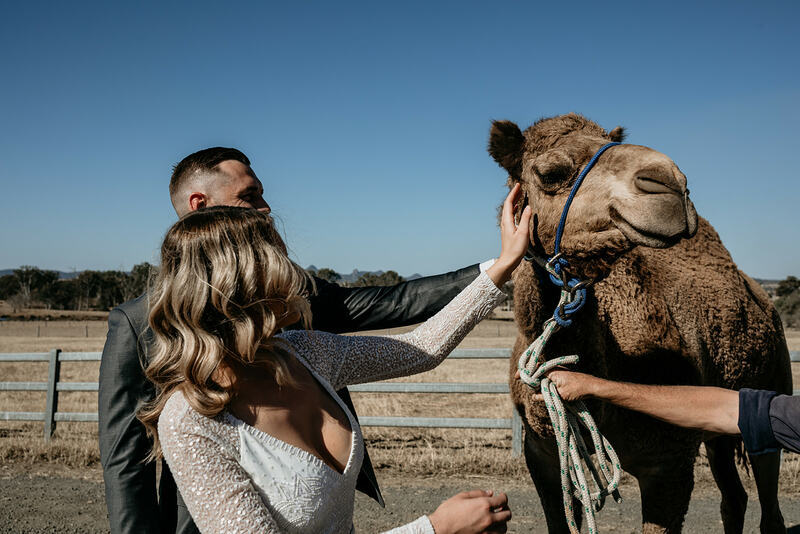 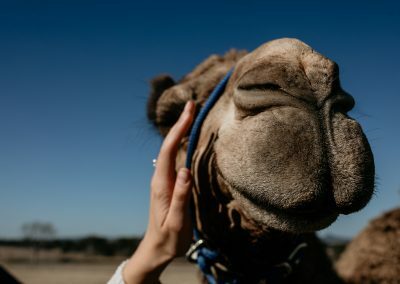 Summer Land Camels was the venue of choice due to it’s location and of course the opportunity to guest star a camel, or two! 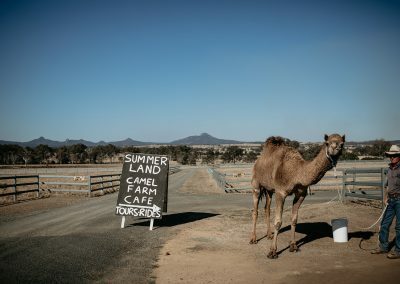 Summer Land Camels is located in a town called Harrisville which is only a one hour drive from Brisbane and the Gold Coast. 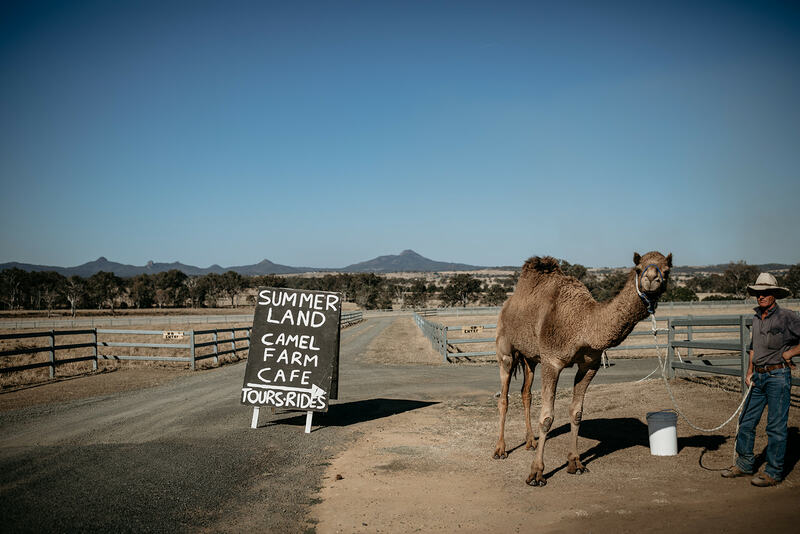 With over 600 camels onsite it’s little wonder Summer Land Camels is Australia’s largest camel dairy. 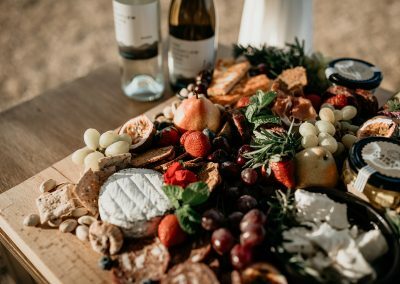 Behind the scenes, our team delighted in artisanal products and produce, from camel milk cheese to gelatos and camelccino’s! 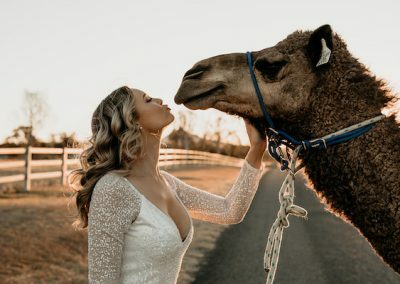 Yes, camelccinos is a thing and we loved it! We had the opportunity to meet camel wranglers and learn the nature of humanity’s most trusted and ancient animal companions. 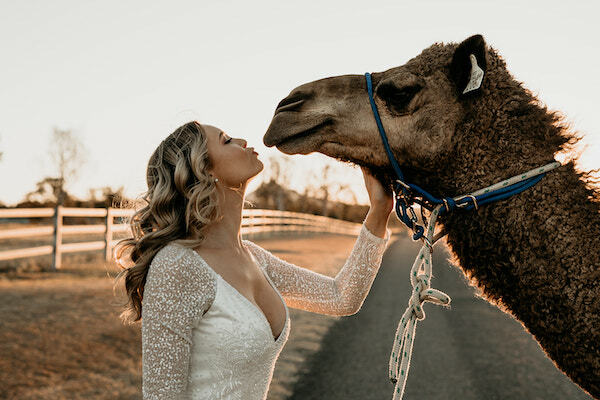 Strong, stable, gentle, intelligent beauties with personalities to fall in love with. 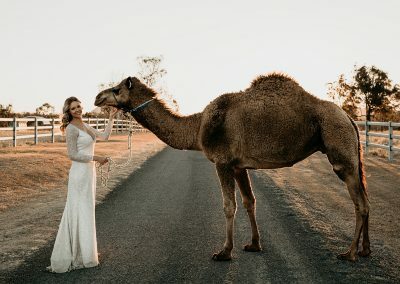 One camel in particular, Evie won our hearts! 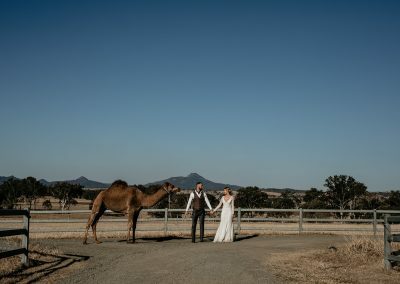 It certainly was a memorable day for all involved. 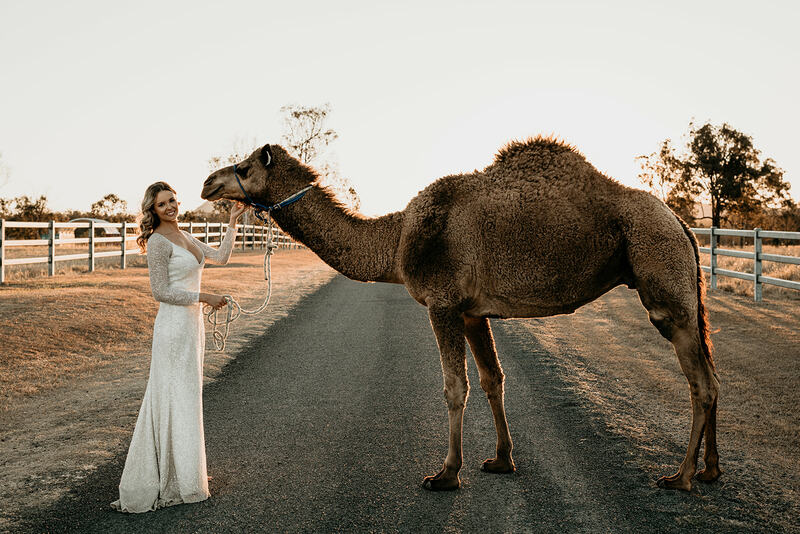 I would personally like to thank Summer Land Camels for their warm welcome, genuine hospitality and allowing our team the use of their wonderful homestead and of course, for trusting my vision.